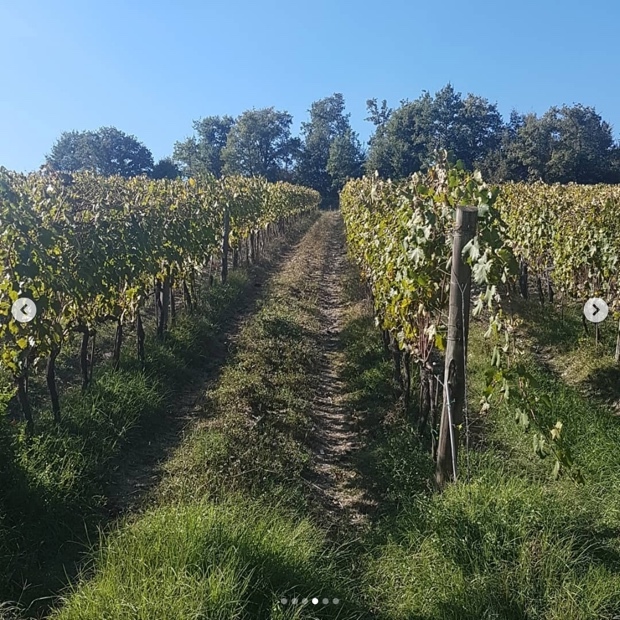 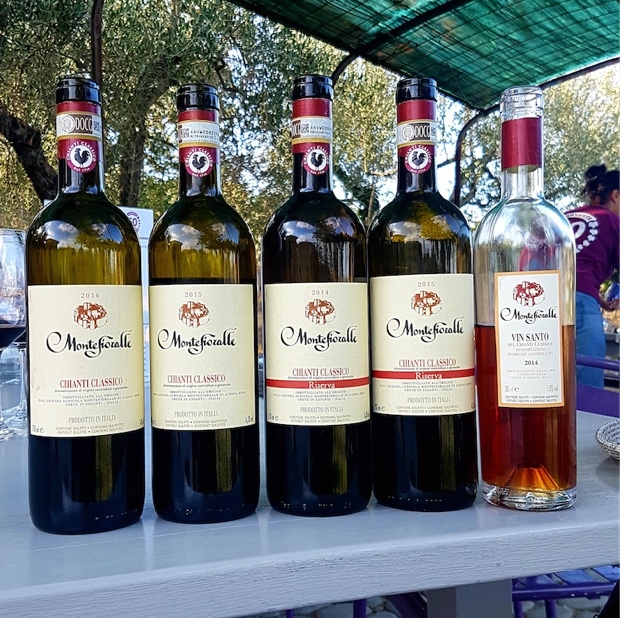 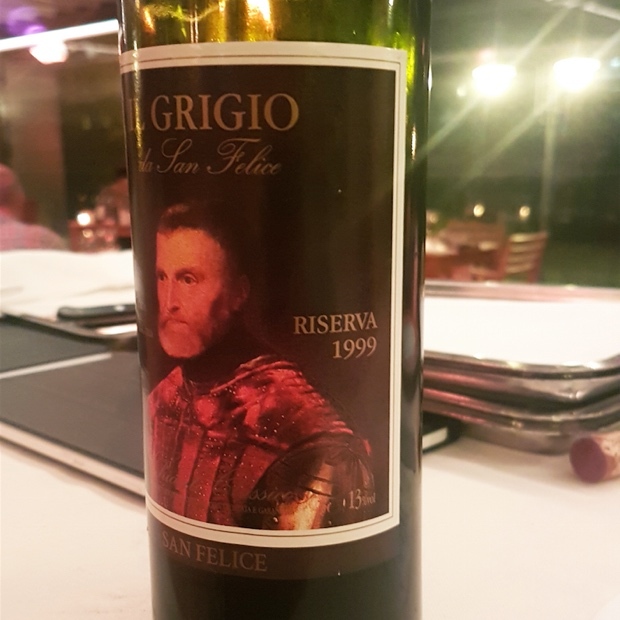 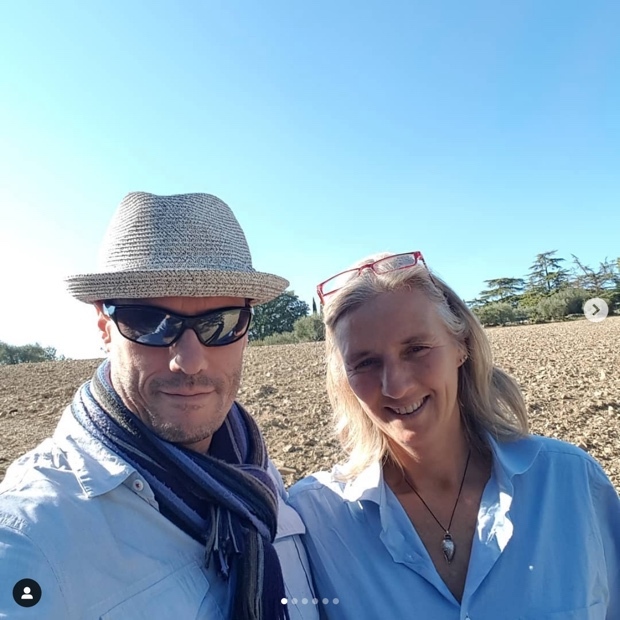 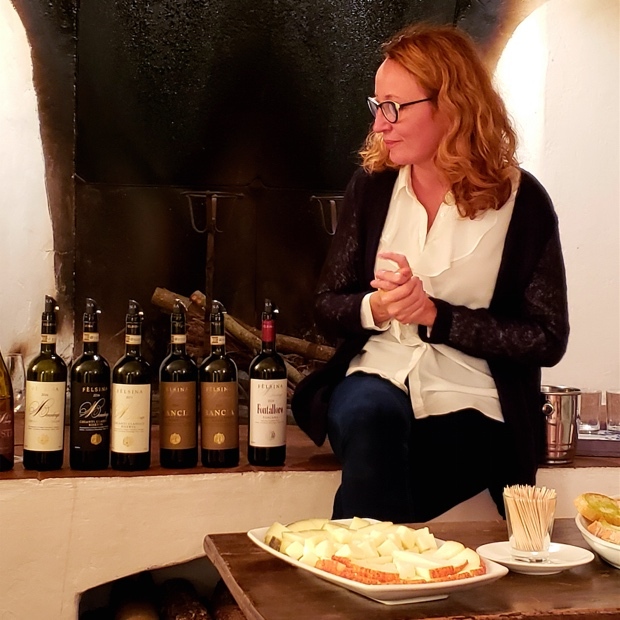 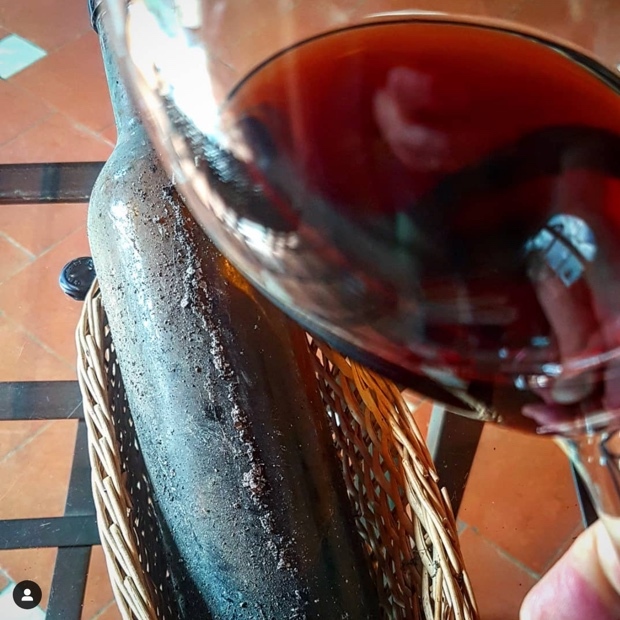 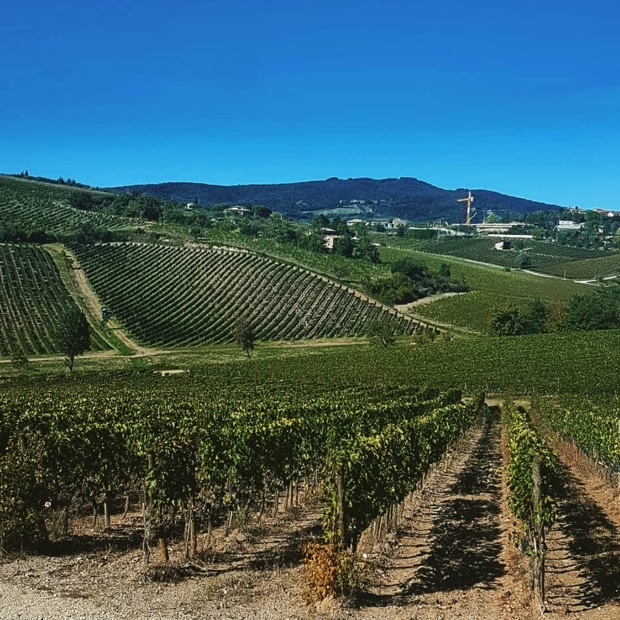 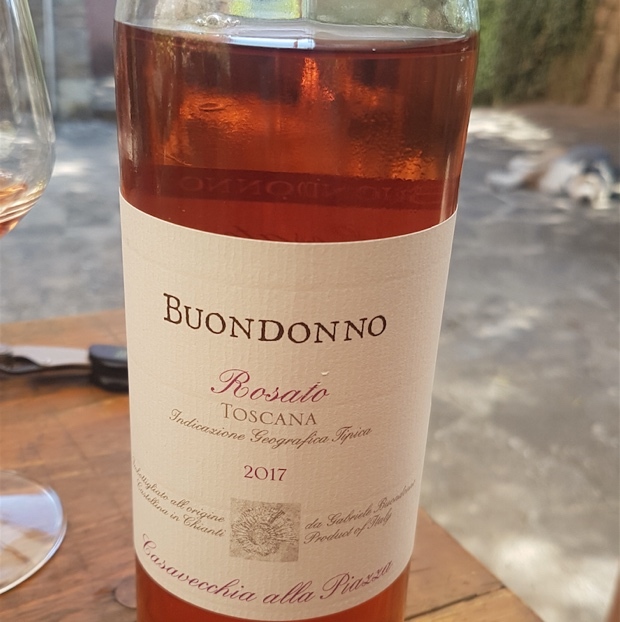 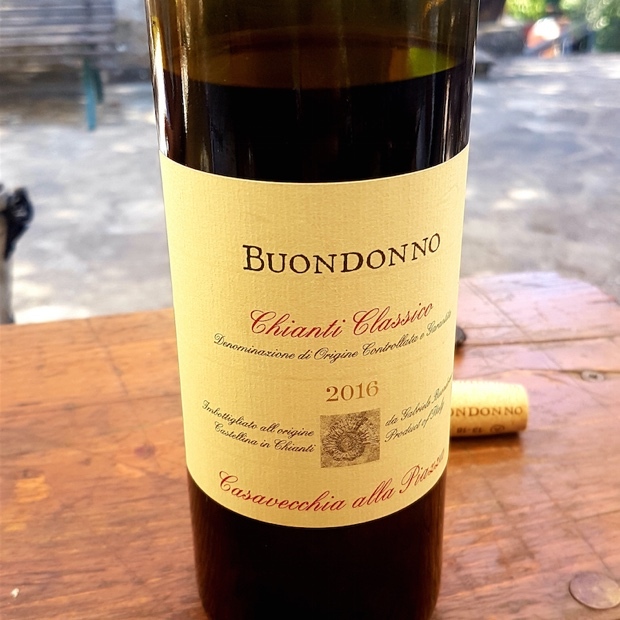 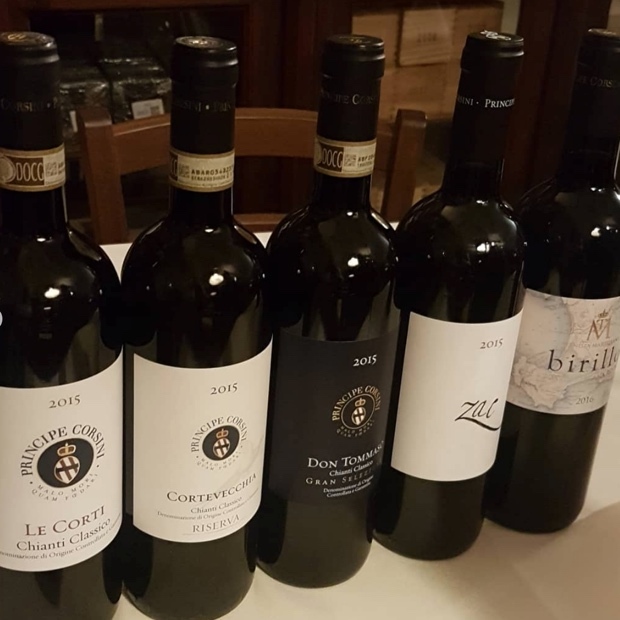 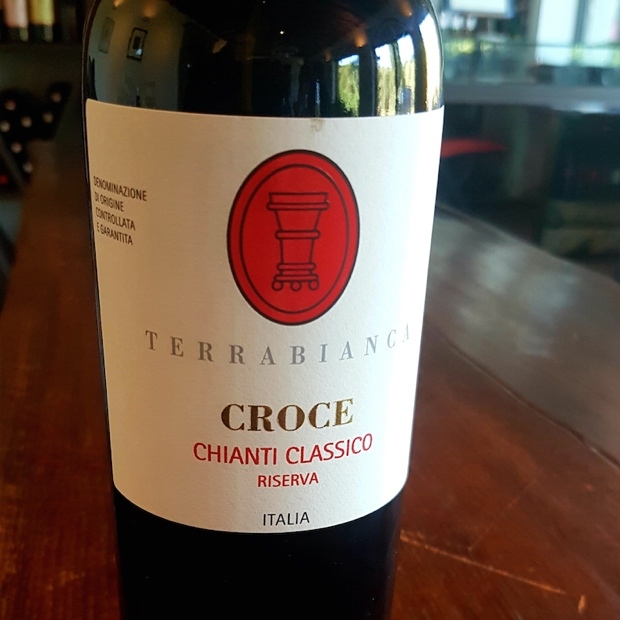 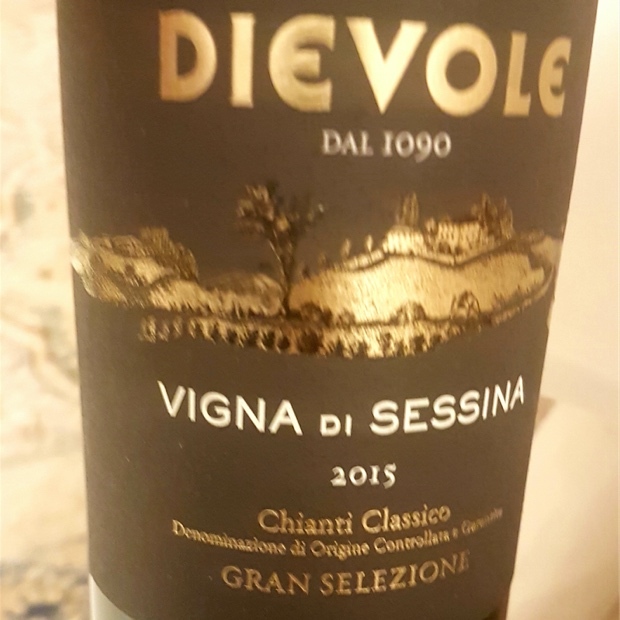 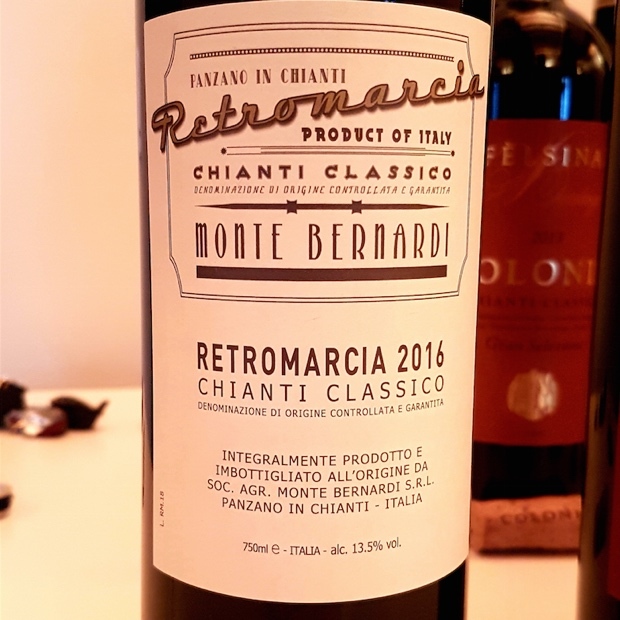 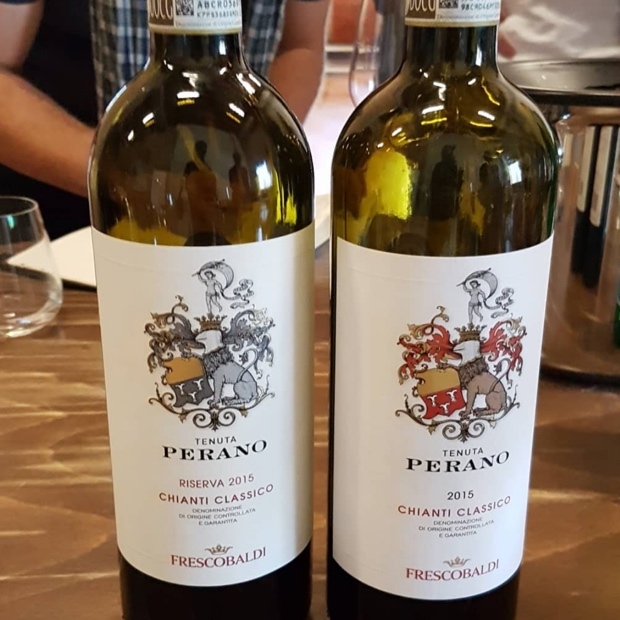 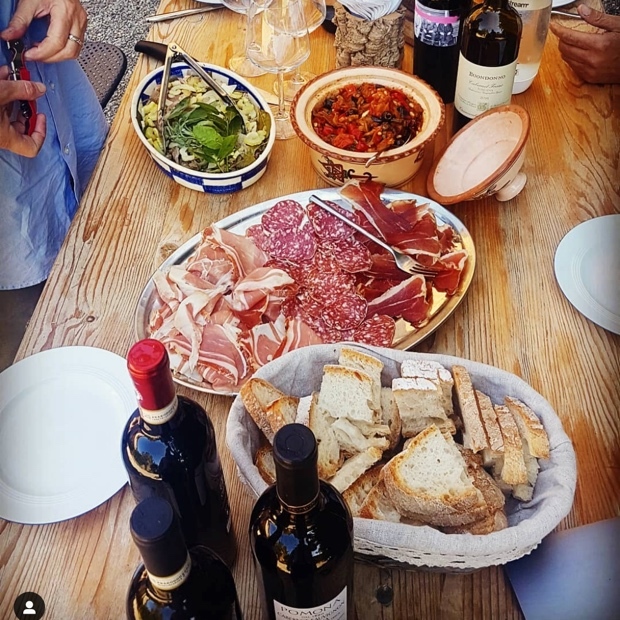 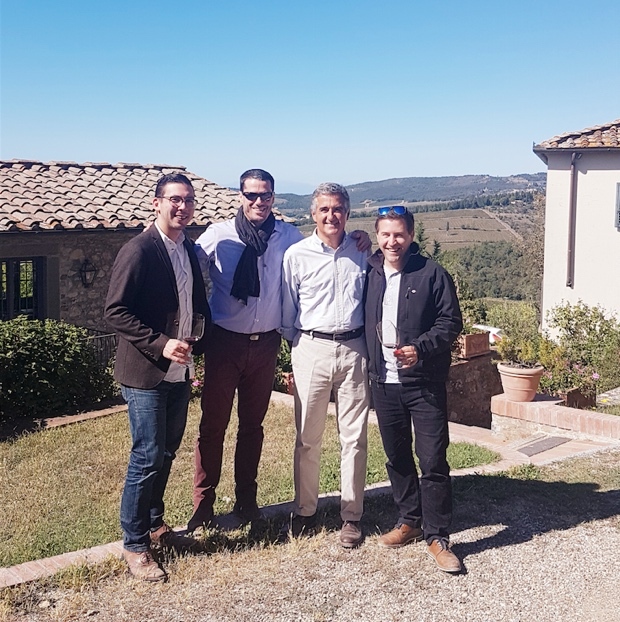 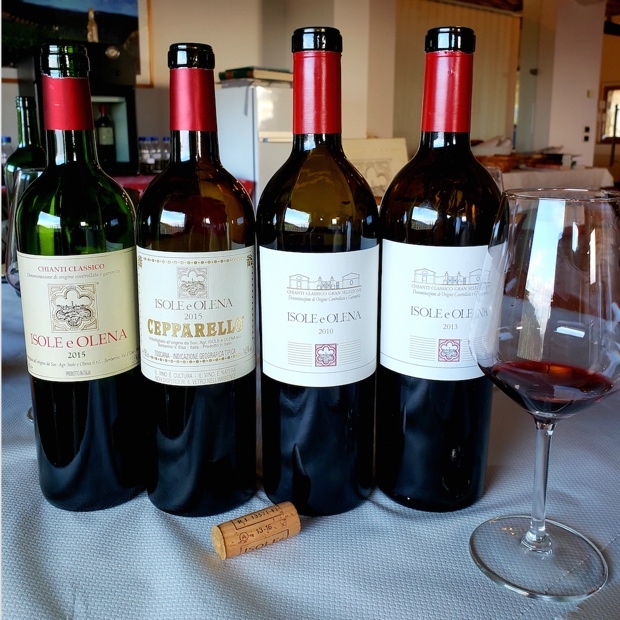 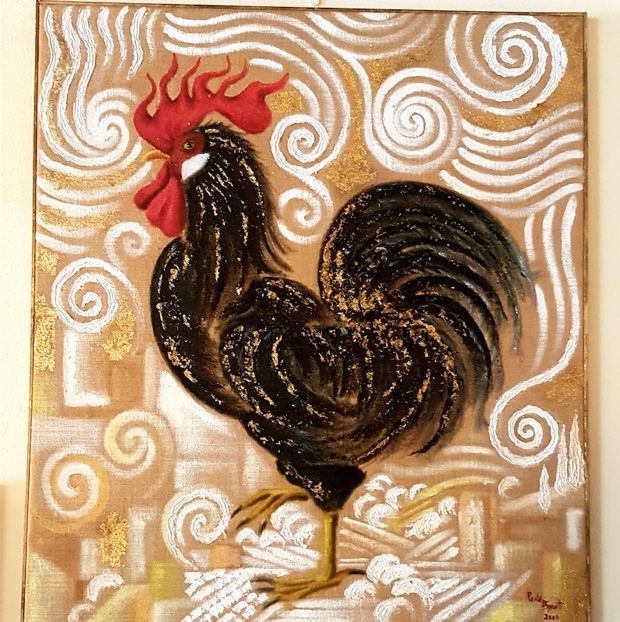 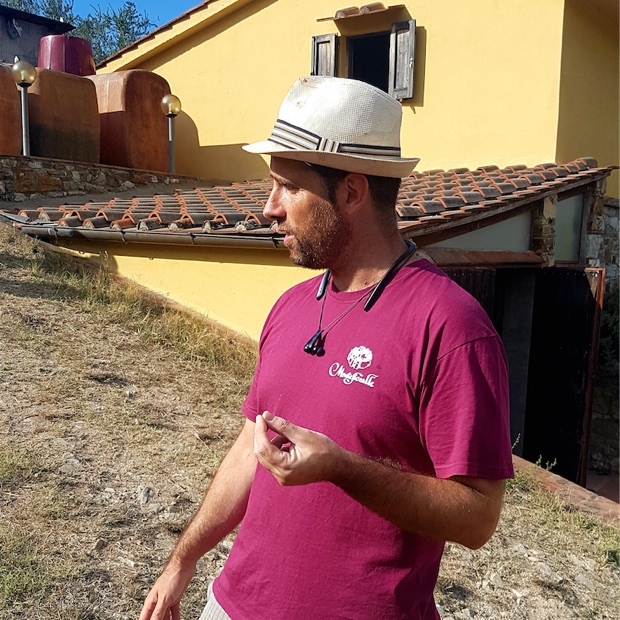 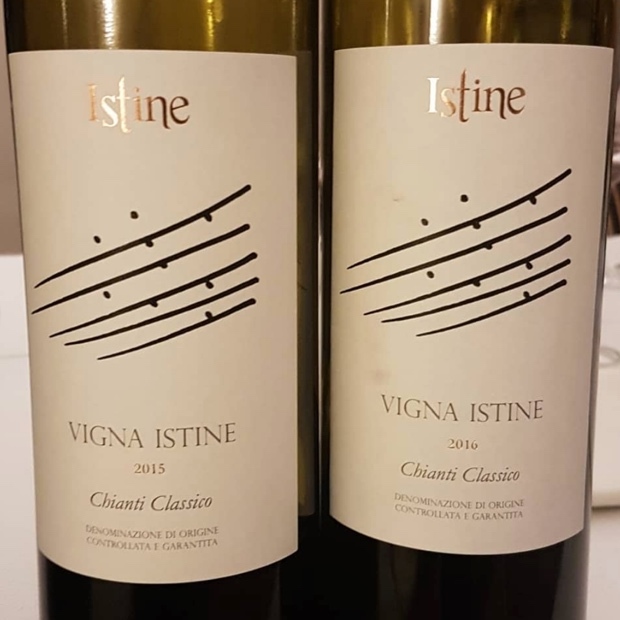 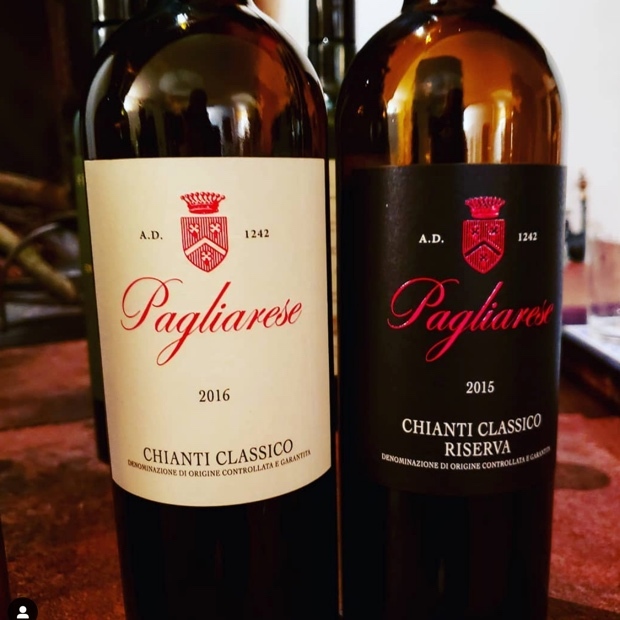 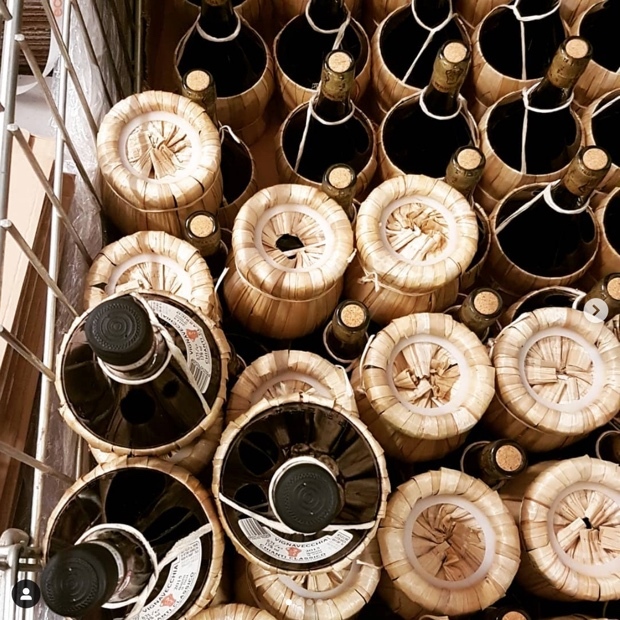 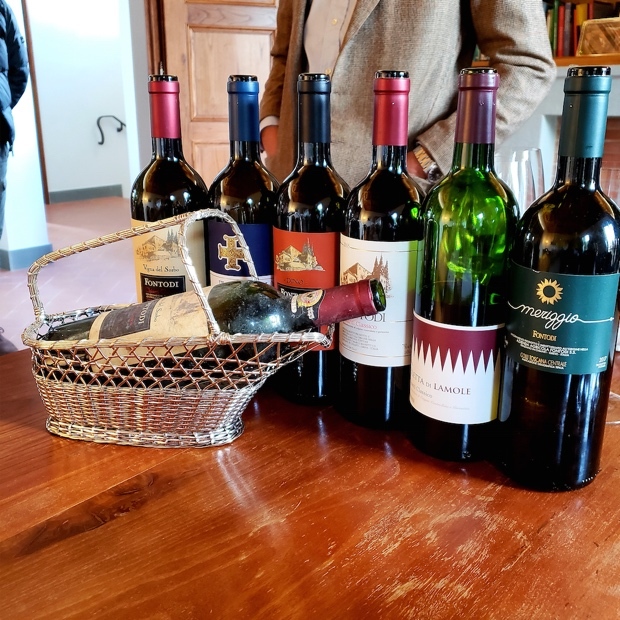 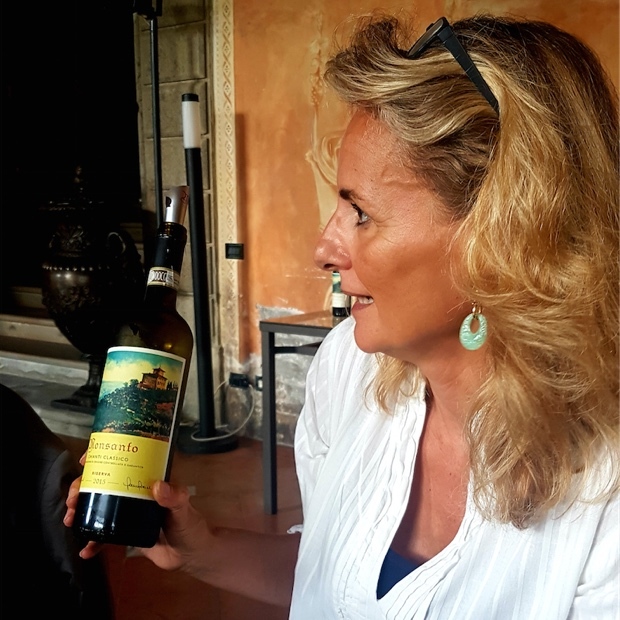 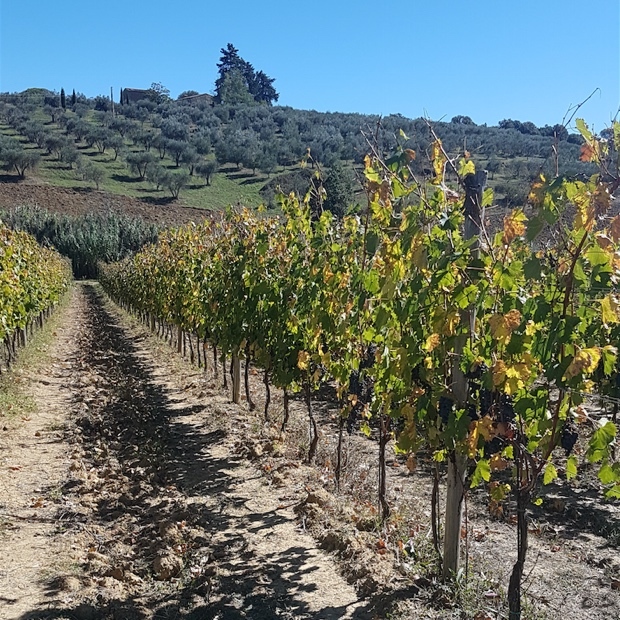 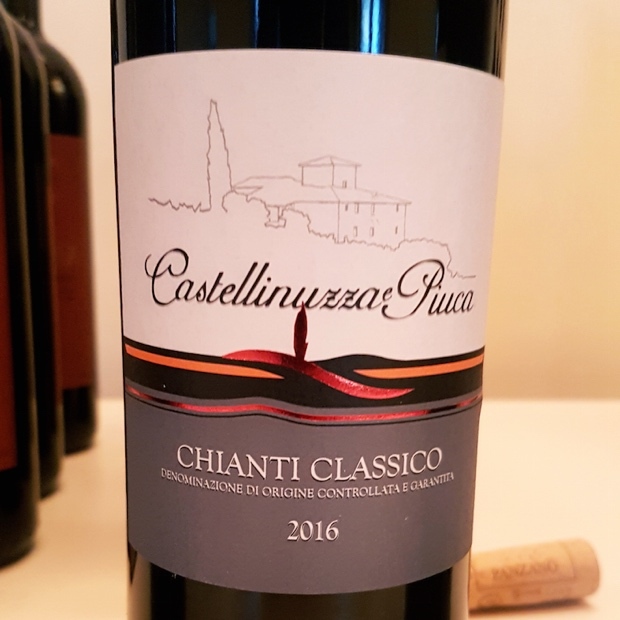 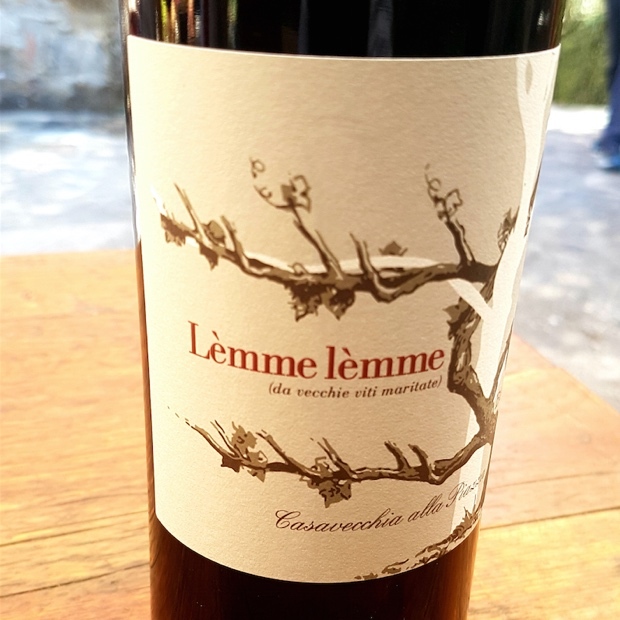 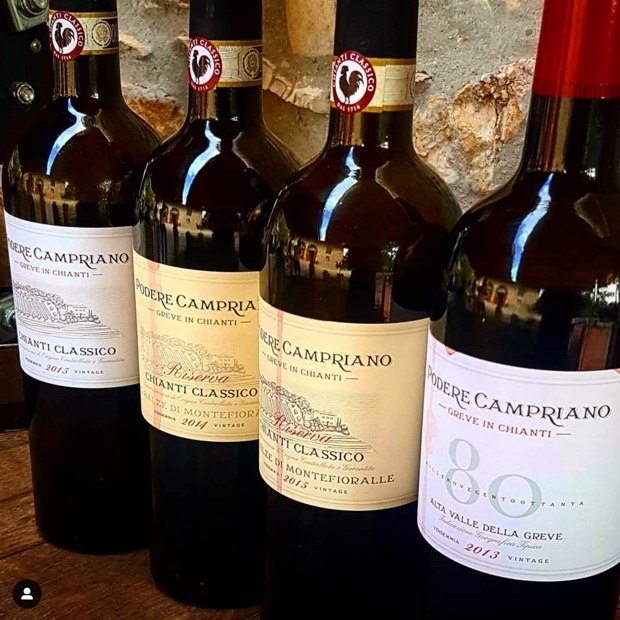 Back in September 2018 I spent a pitch perfect day in Chianti Classico. 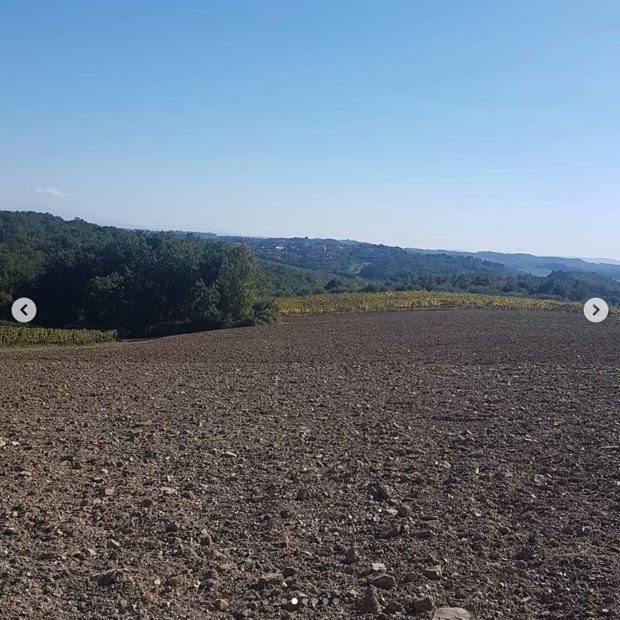 A 15-hour stretch drawn across a triangle connecting three estates, an ideal number for one day’s work split between focus and play. 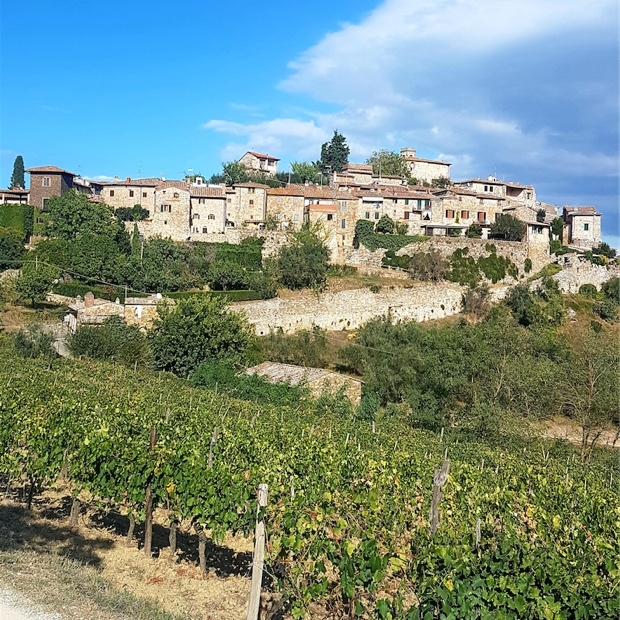 The starting and ending point was Tavarnelle Val di Pesa though in between the lines were drawn transverse, moving in circularly polarized waves, to Castellina in Chianti, through Panzano, back into Castellina, down to Castelnuovo Berardenga and finally, back to Tavarnelle Val di Pesa. 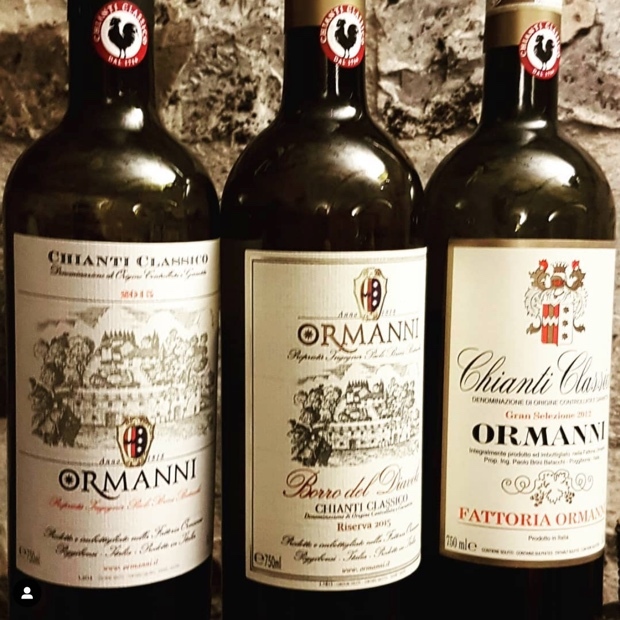 The day was one of the more important ones on the Chianti Classico calendar. 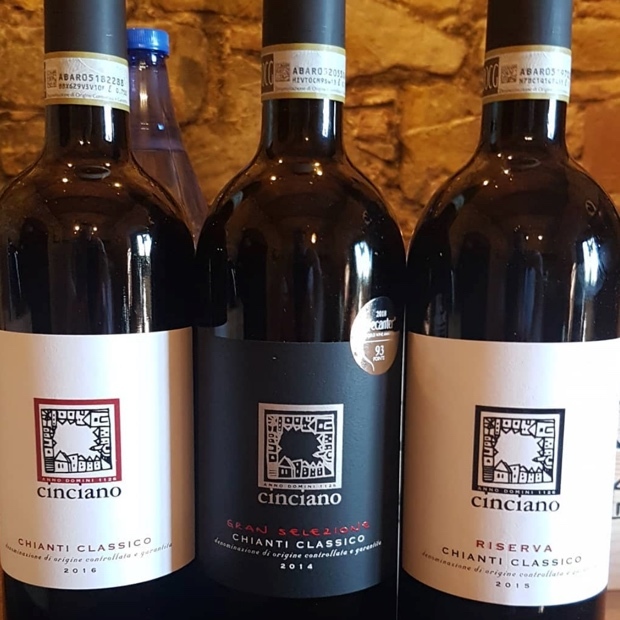 The annual riding of the Granfondo del Chianti Classico takes place during the final stretches of the harvest. 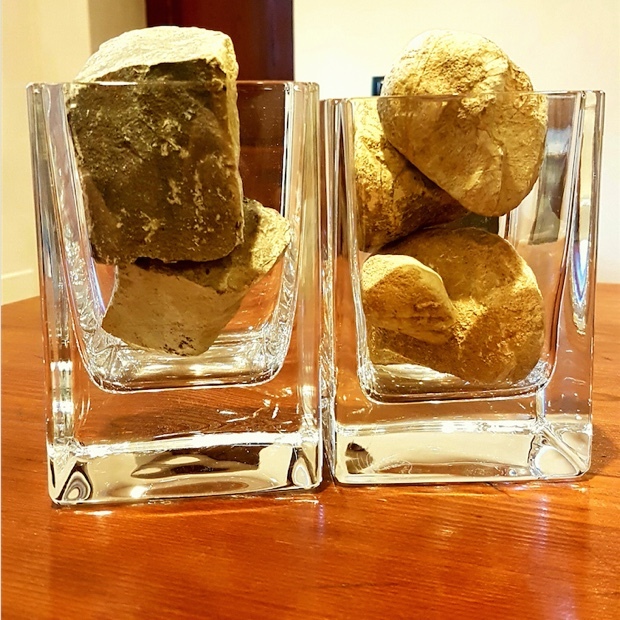 While it may be a roadblock and a hinderance to some it is a showcase for the territory in many positive and also exciting ways. 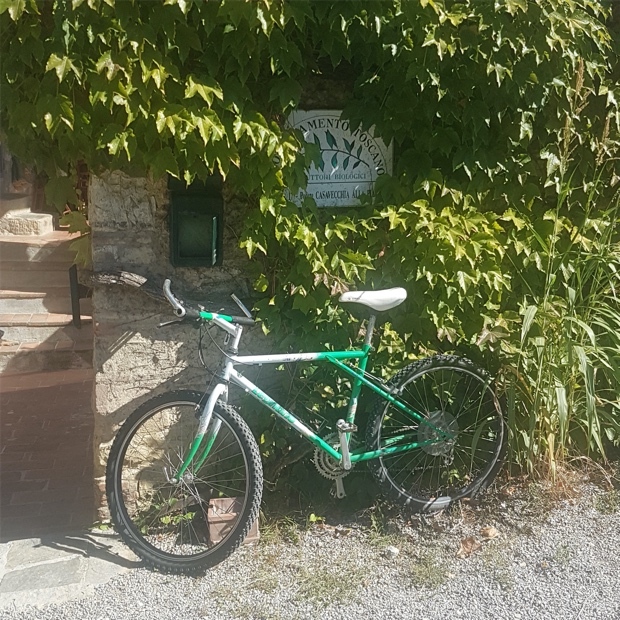 Driving around is tricky on this day what with a few thousand eager cyclists climbing and descending the switchbacks of the many long and winding roads. 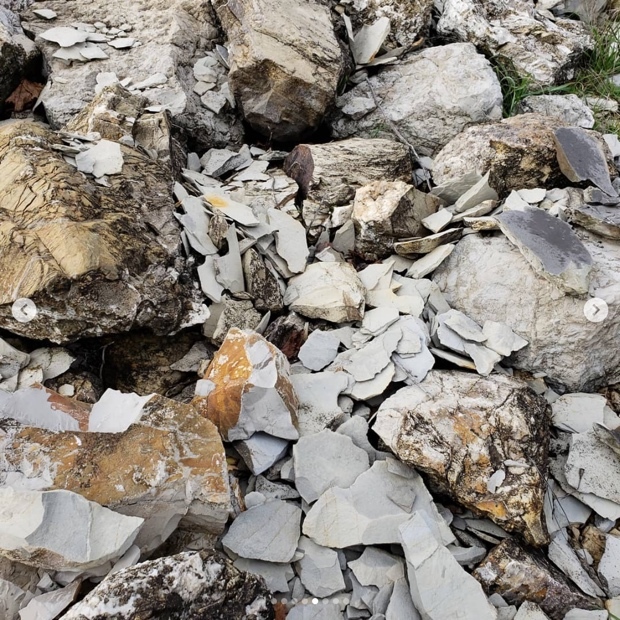 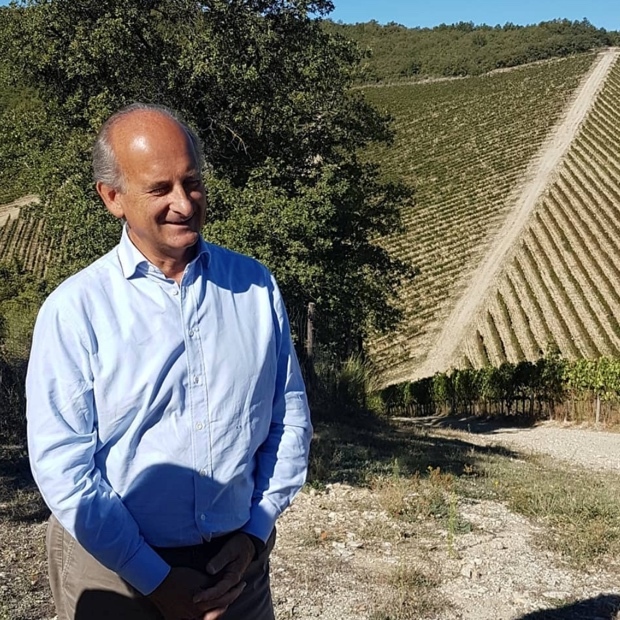 Gabriele Buondonno crossed through the bike traffic to pick me up and as we arrived he showed me the lay of his hilltop Casavecchia alla Piazza in Castellina land. 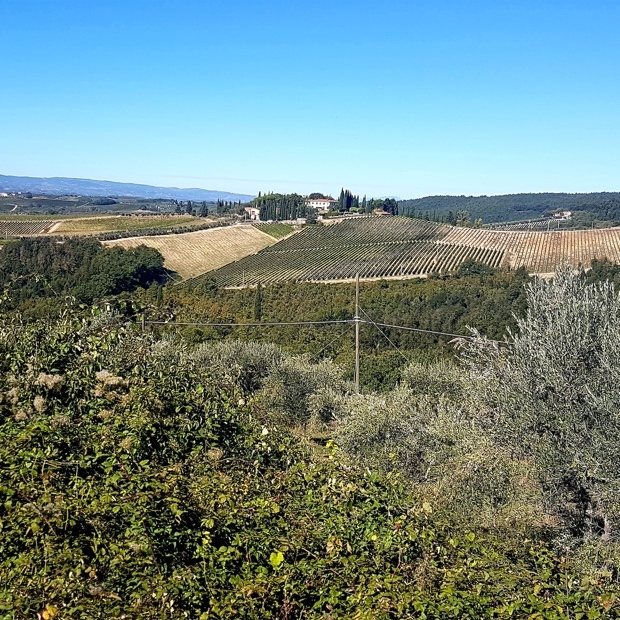 Some of the oldest vineyards live here and their terraces rise above the western edge of the Conca d’Oro, with the town of Panzano in the distance off to the east. 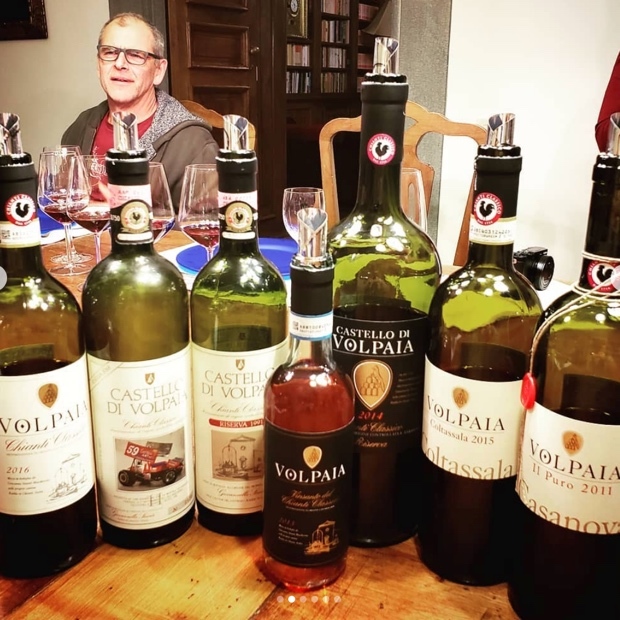 We tasted through Gabriele’s wines and then set off for Villa Pomona. 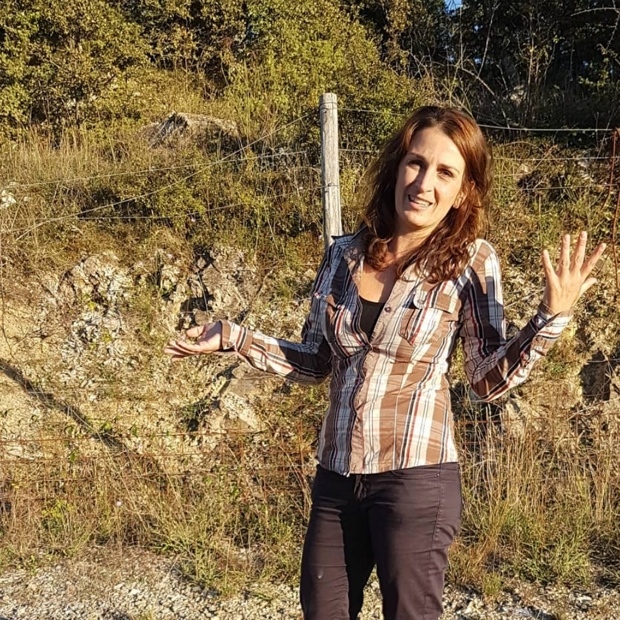 The afternoon was spent with Monica Raspi, her mother Inge and husband Enrico. 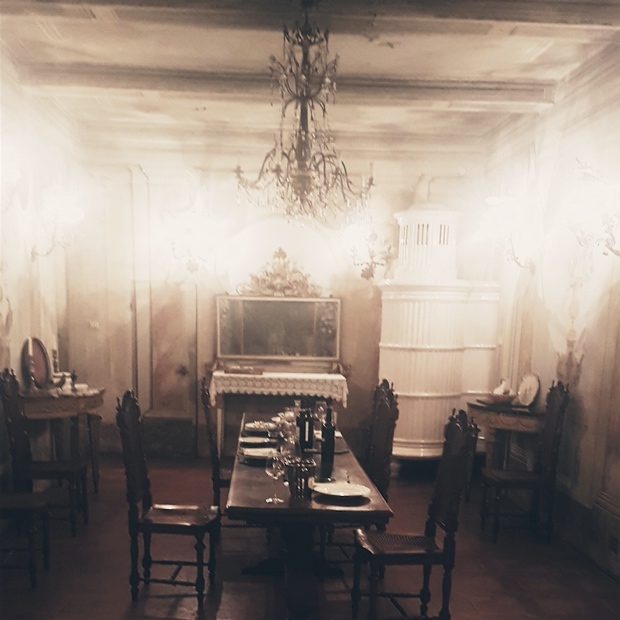 A lunch for the ages, all composed in the home, traditional and familial, unparalleled, comforting and memorable. 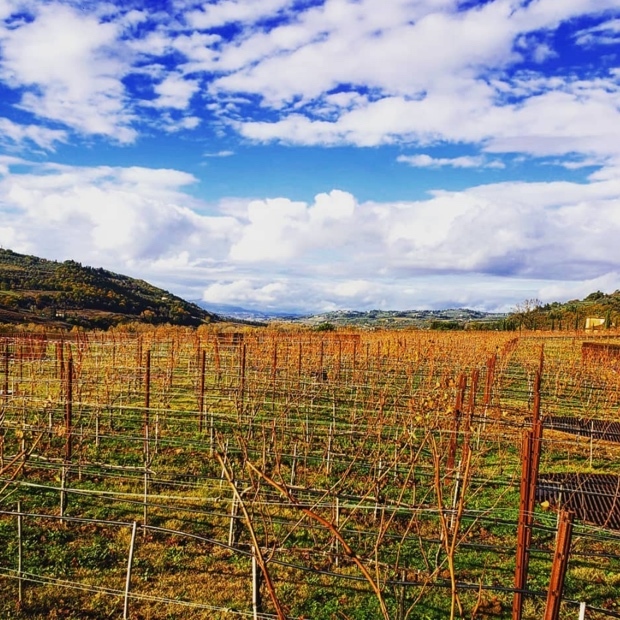 A tasting of Raspi’s deeply personal Pomona wines. 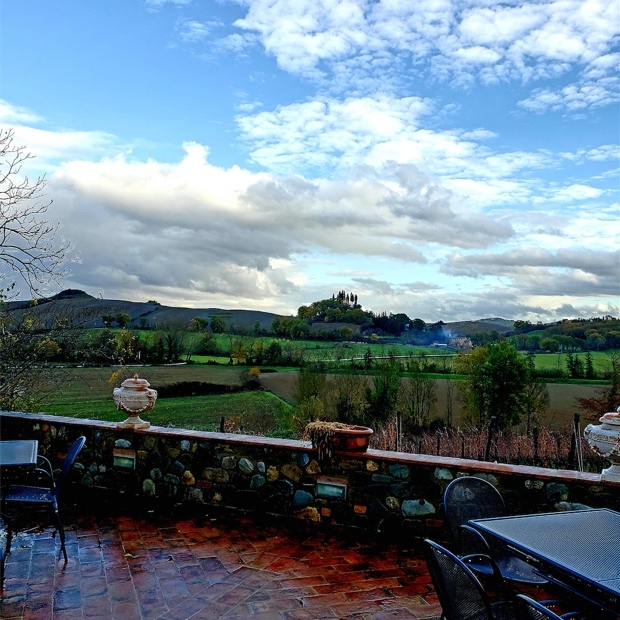 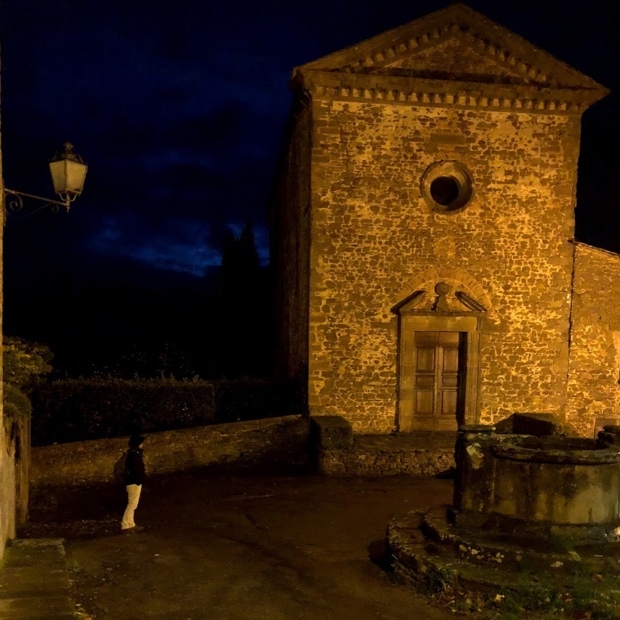 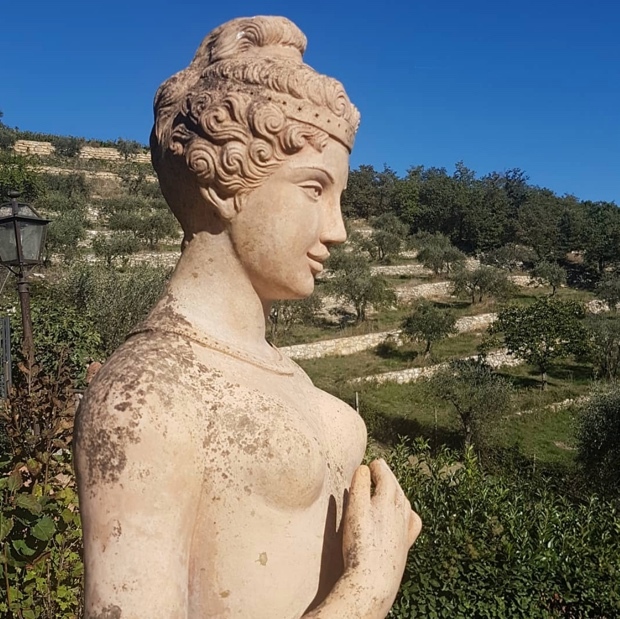 A walk through the heritage Fattoria, reeking of history and change. 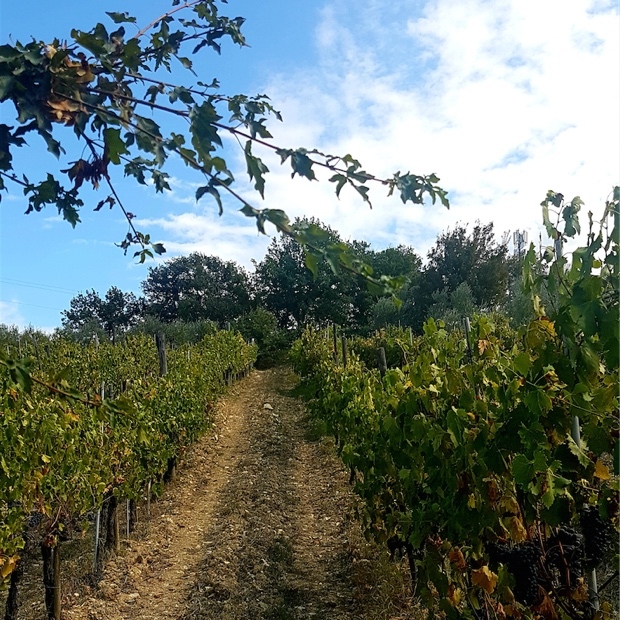 A stroll through the vineyards, rows lined with wild herbs and perhaps a whisper in the ear from Papa Enzo. 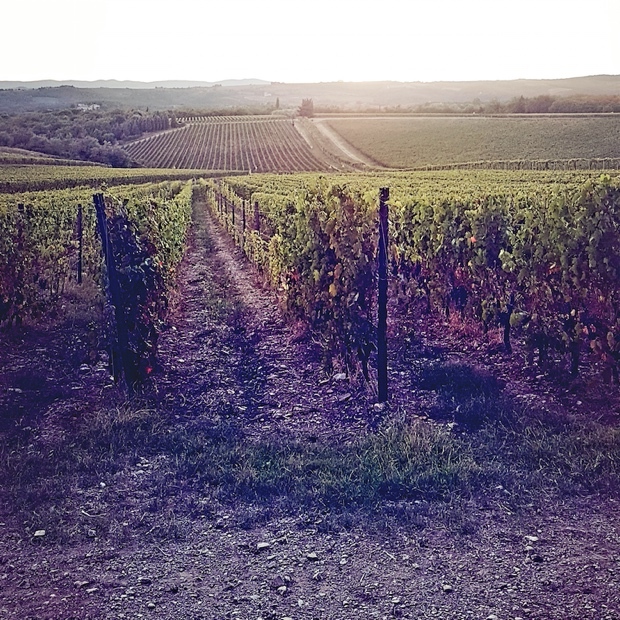 All in the glow of an afternoon, of a paradisiacal September in Chianti Classico sunlight. 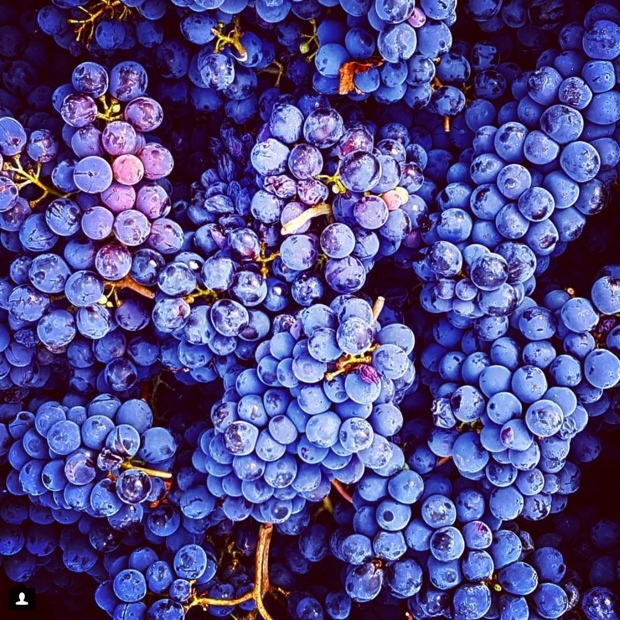 One of life’s great pleasures was walking the Pomona vineyards with its passionate custodian meets Veterinarian turned winemaker. 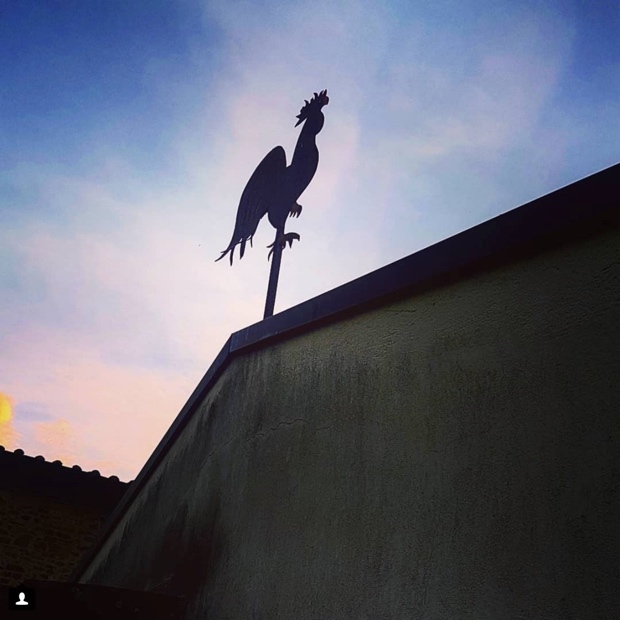 Truly. 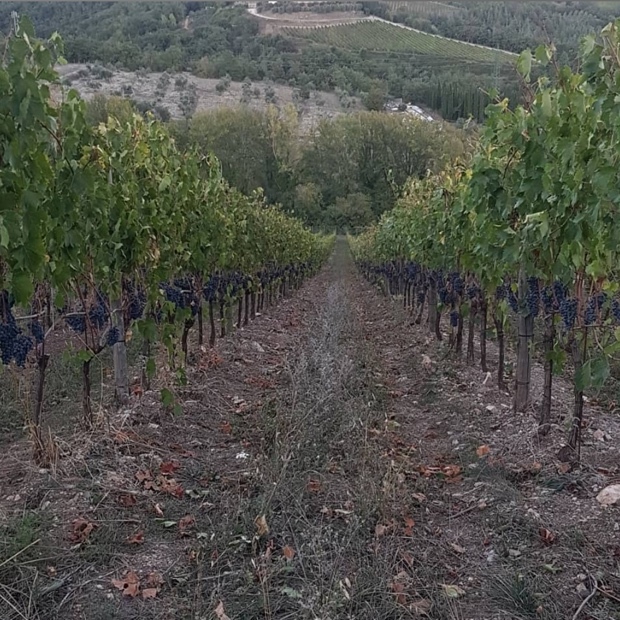 Raspi showed me the site where her “Number One” vineyard will be coming soon while we tasted soon to be picked sangiovese, assessed aspect and slope, thinking about porcini and juniper. 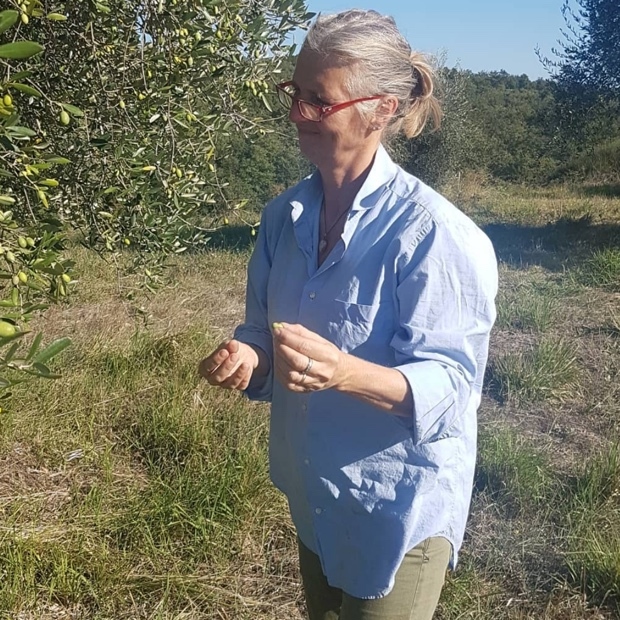 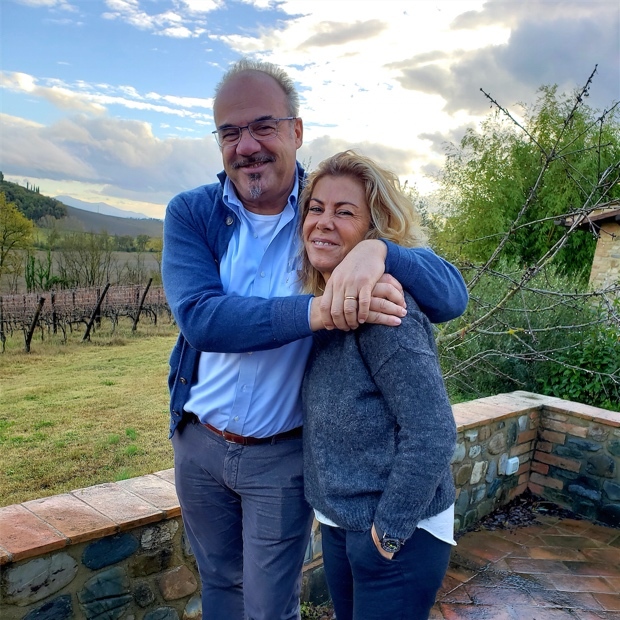 Monica drove me in to the outskirts of Siena where I transferred to take the next leg shotgun to Alessandro Boscu Bianchi Bandinelli, destination Geggiano. 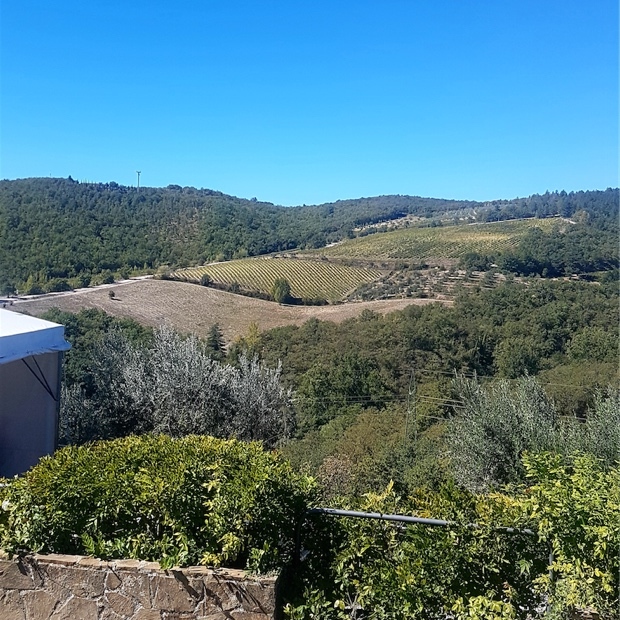 Home away from home for Godello, al poggio with the towers of Siena so visible southwest in the distance, where some of the area’s finest Galestro and most specific micro-climate intertwine. 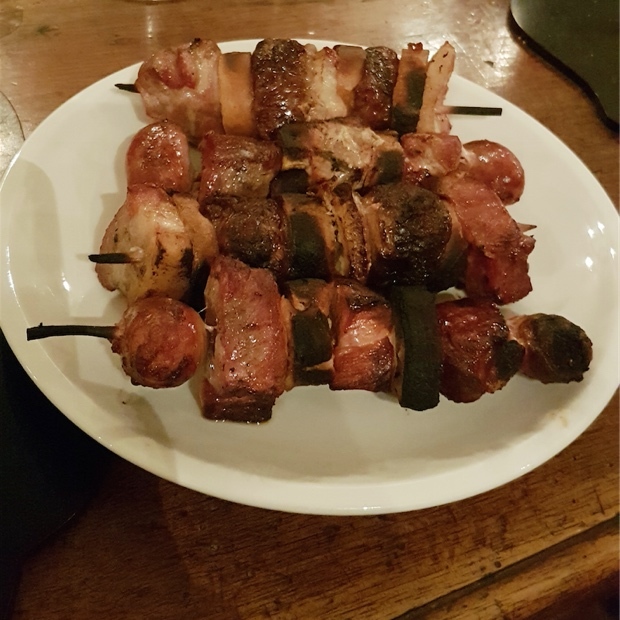 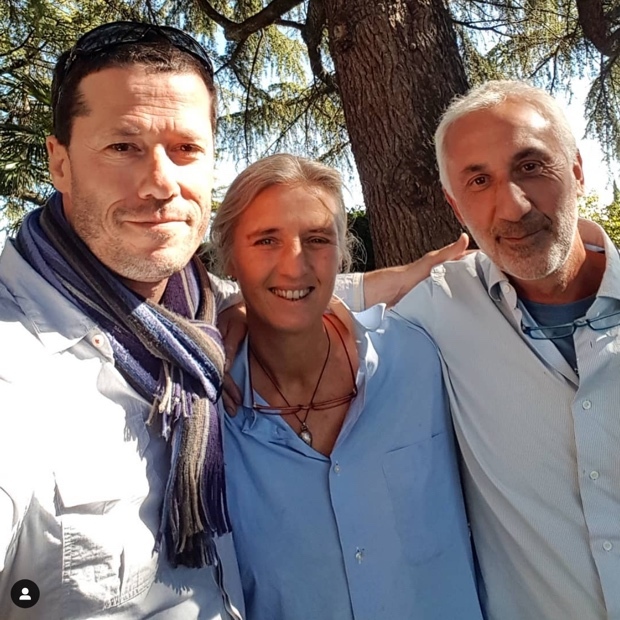 Soulful retreat and Castelnuovo Berardenga BBQ with Alessandro, Mama and Andrea Boscu Bianchi Bandinelli, who I have known for 23 years. 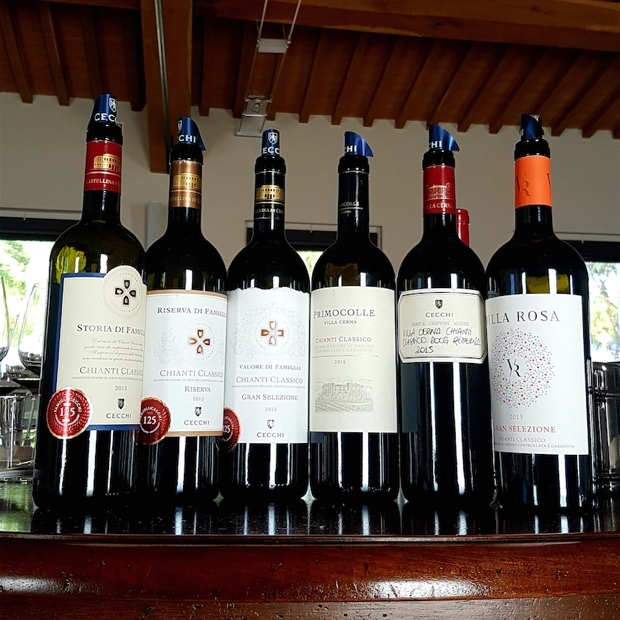 Between these three exceptional estates I tasted 14 wines. 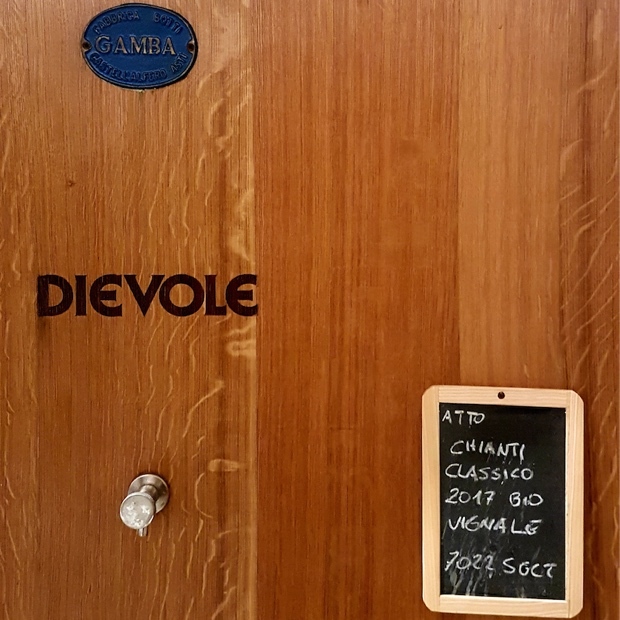 My notes are here, exactly four months to the day. 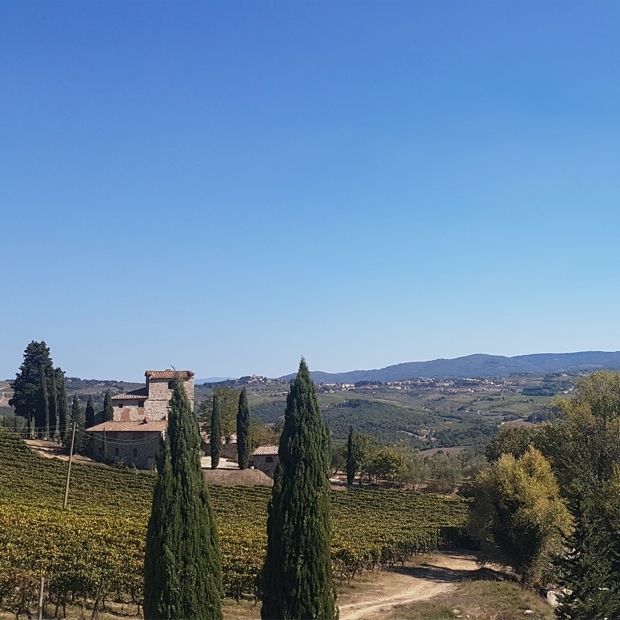 A perfect day in Chianti Classico. 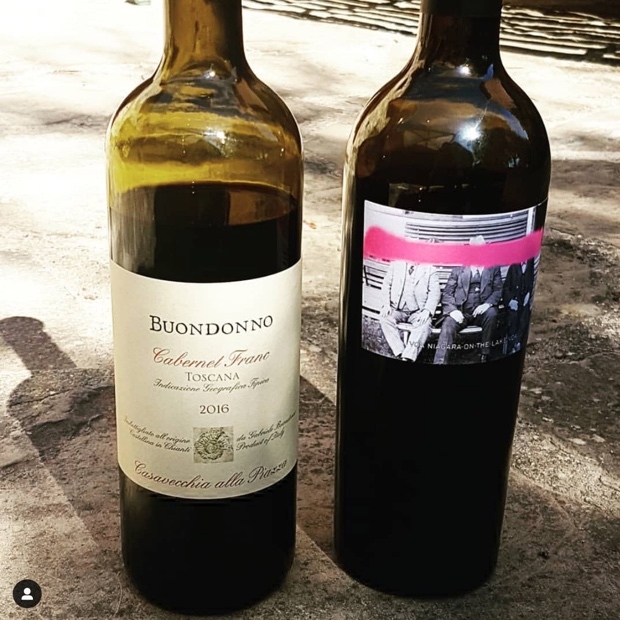 In other words, these are producers making wines through the practice of lost agricultural work and least possible interventionist winemaking. 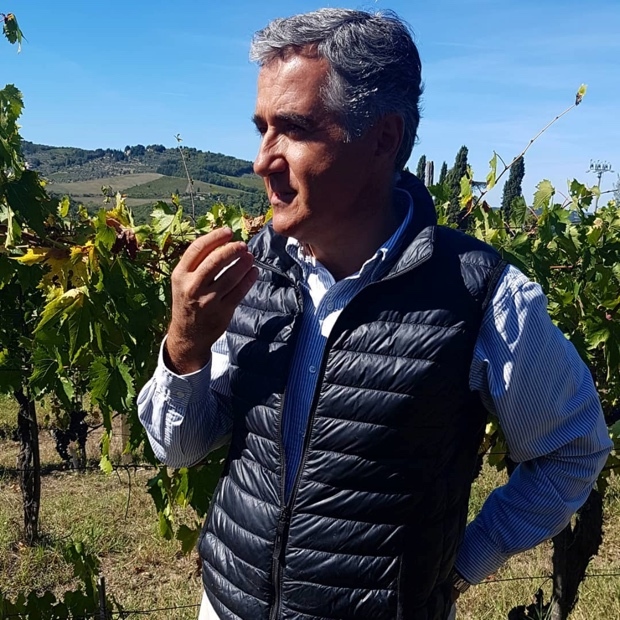 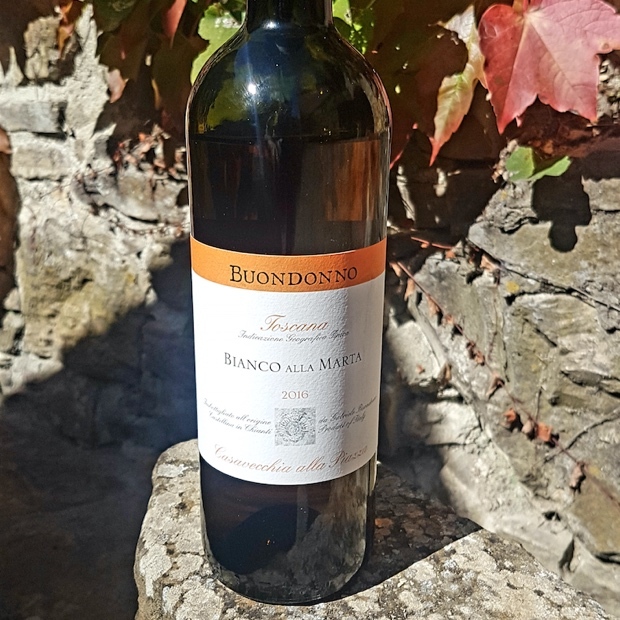 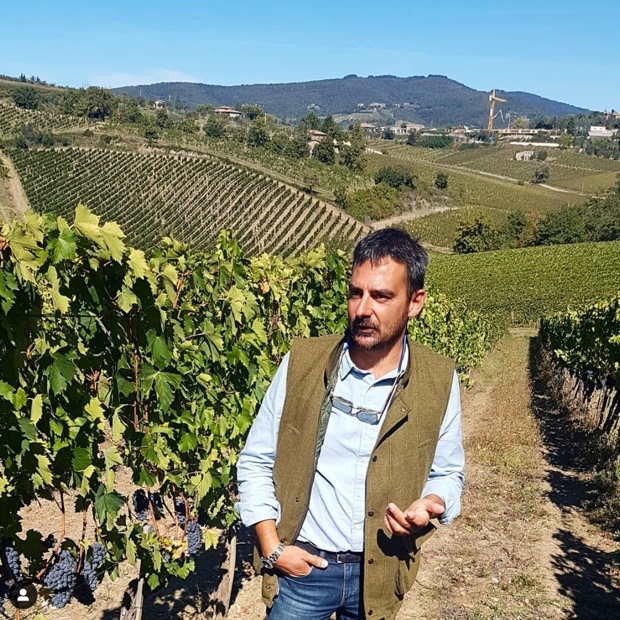 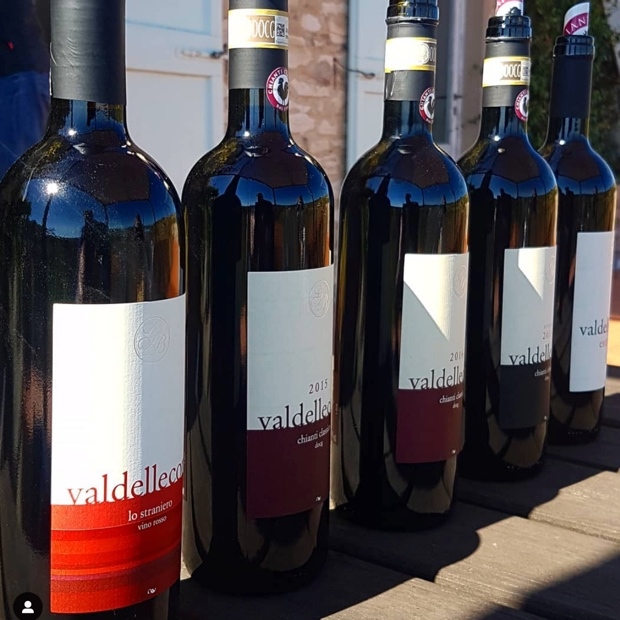 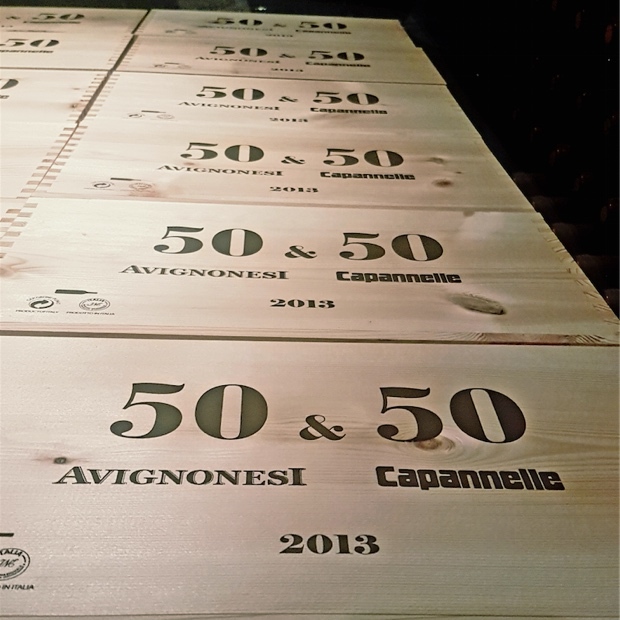 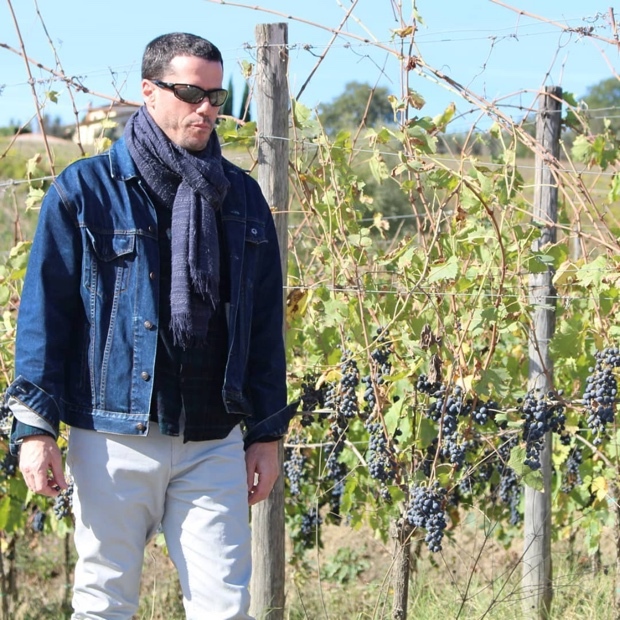 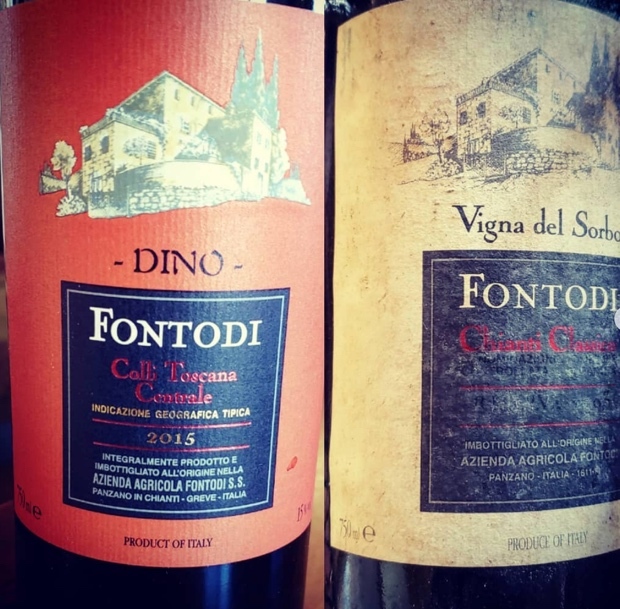 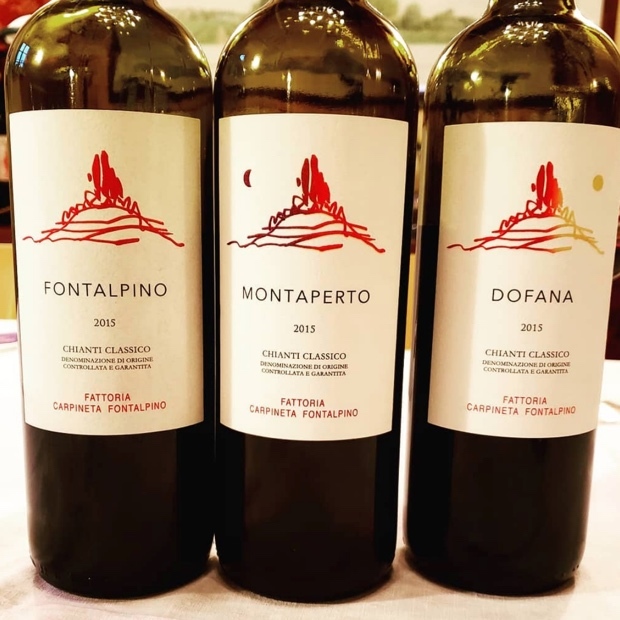 “The vineyard cultivated as a vegetable garden.” Gabriele Buondonno is one such winemaker and his vineyards stand as exemplar temples where both myth and history are kept alive. 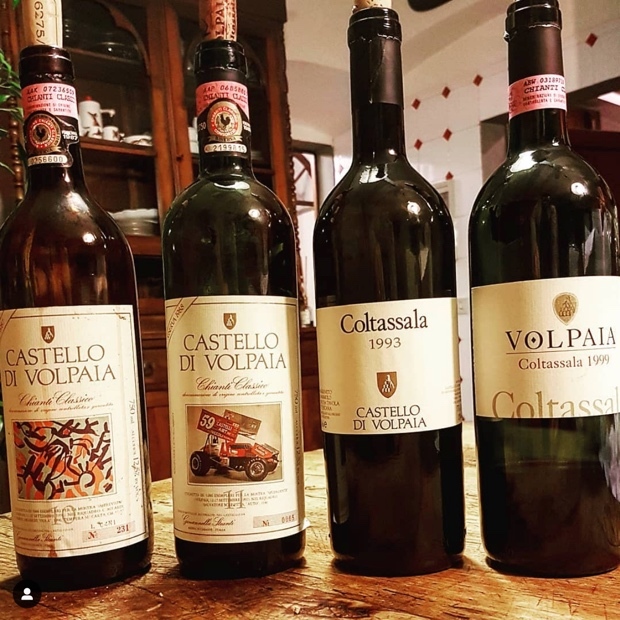 Gabriele’s daughter Marta is making her own history as a caseificio from goat’s milk, crafting capra as yet another example of the Buondonno soul. 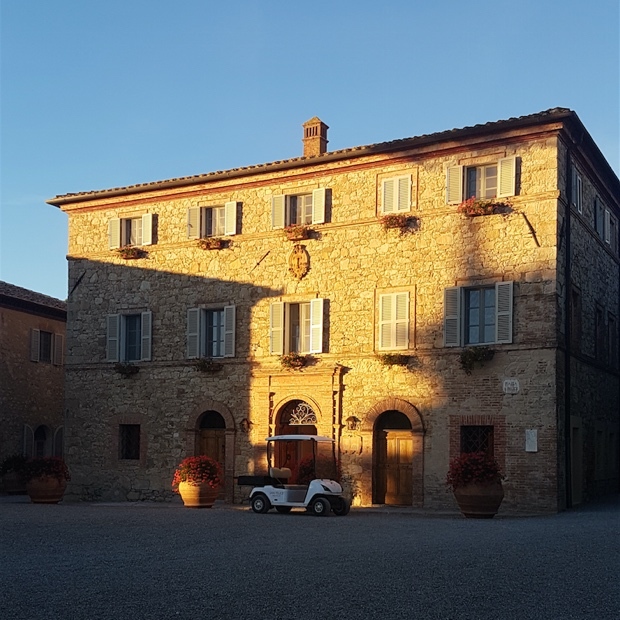 The farm was originally named “Fattoria Ricceri” and dates back to the second half of the XVIII century. 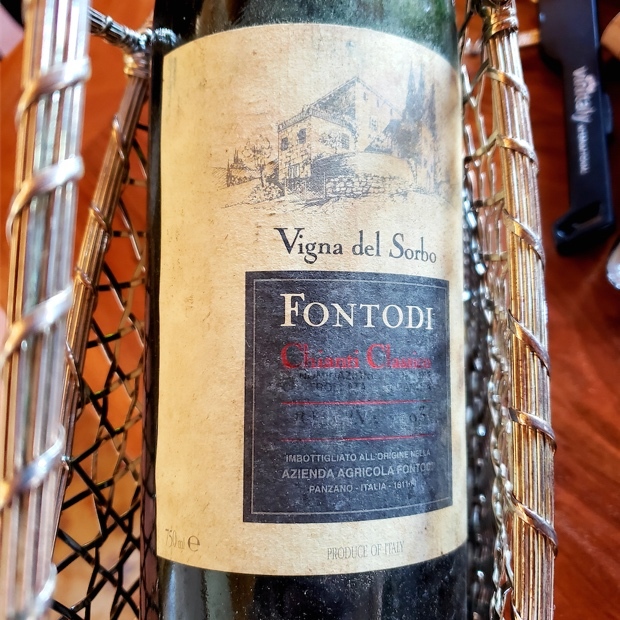 It was was purchased in 1899 by ancestor Bandino Bandini, producer of olive oil and wine, sold to the restaurateurs of Siena. 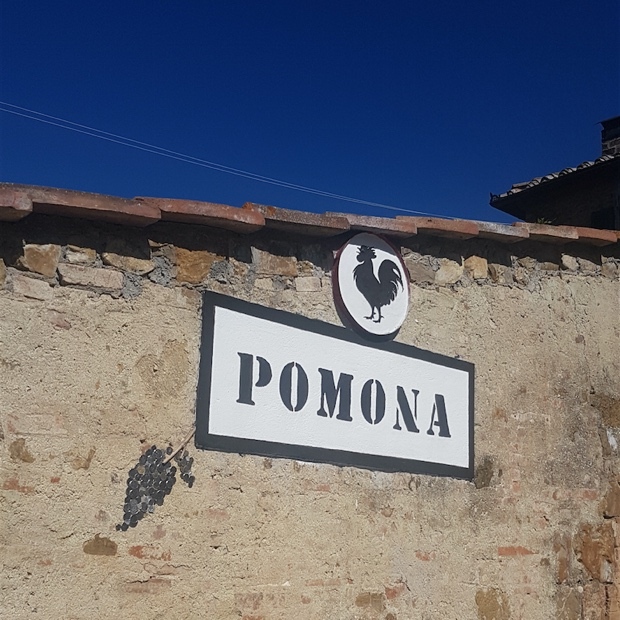 The new name Pomona stressed newfound prosperity and the success of its kiln, expanding the number of farm buildings and an oil mill was used for pressing the olives grown at Pomona, as well as on the other neighbouring farms. 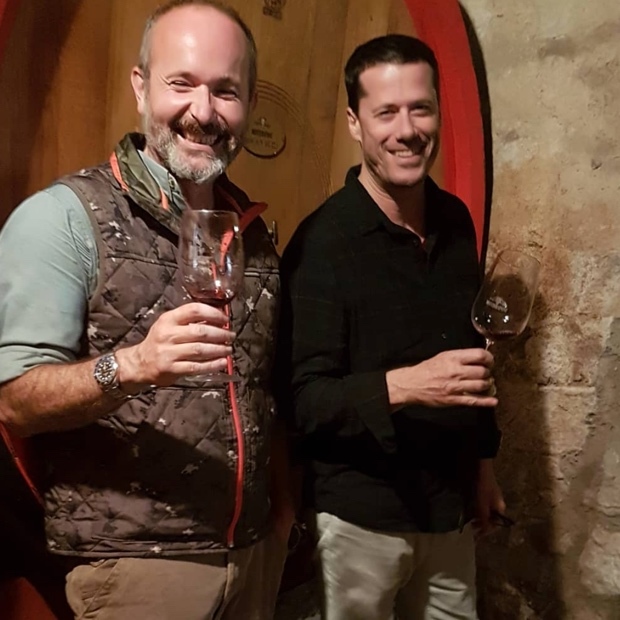 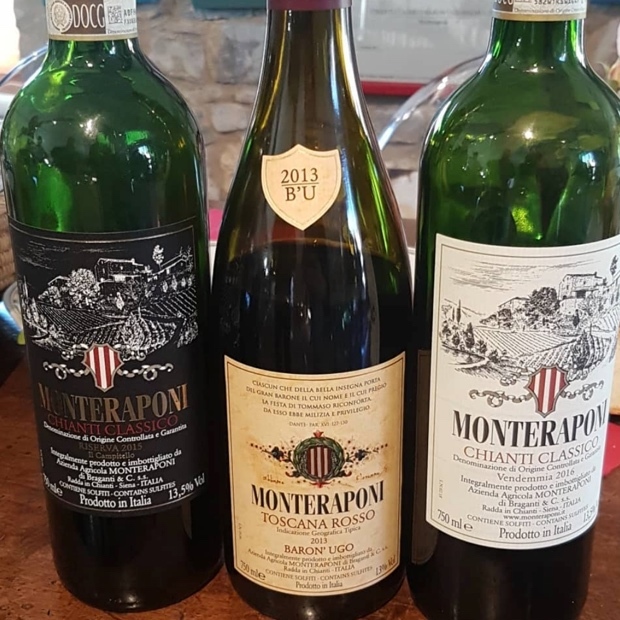 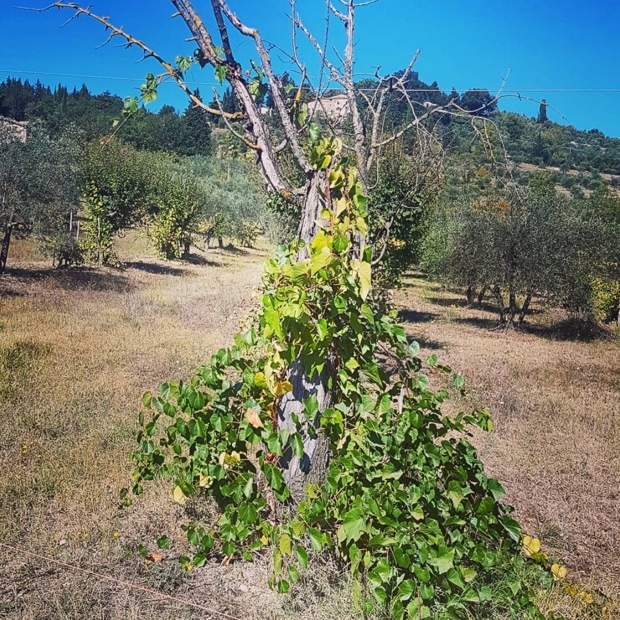 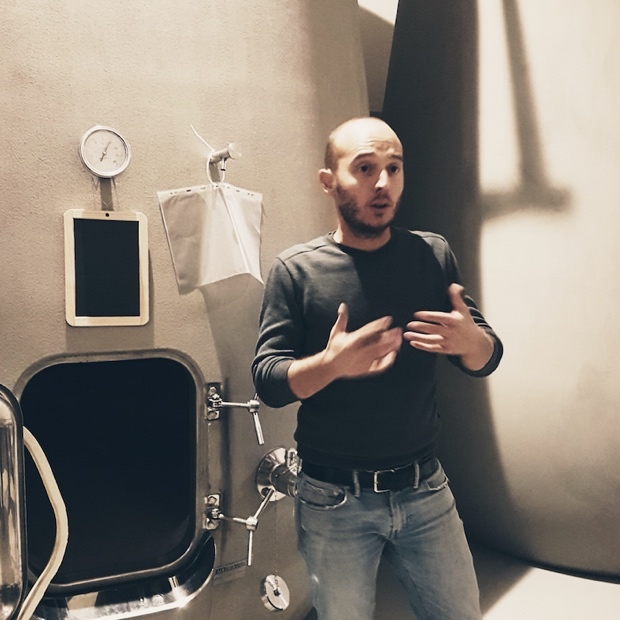 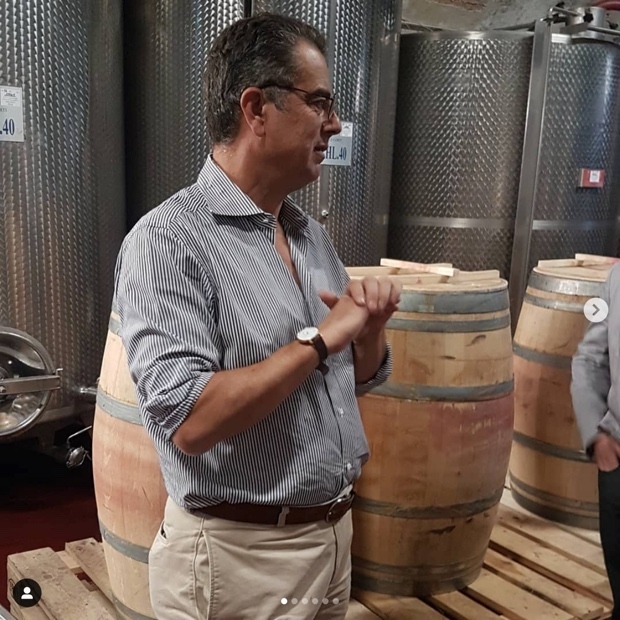 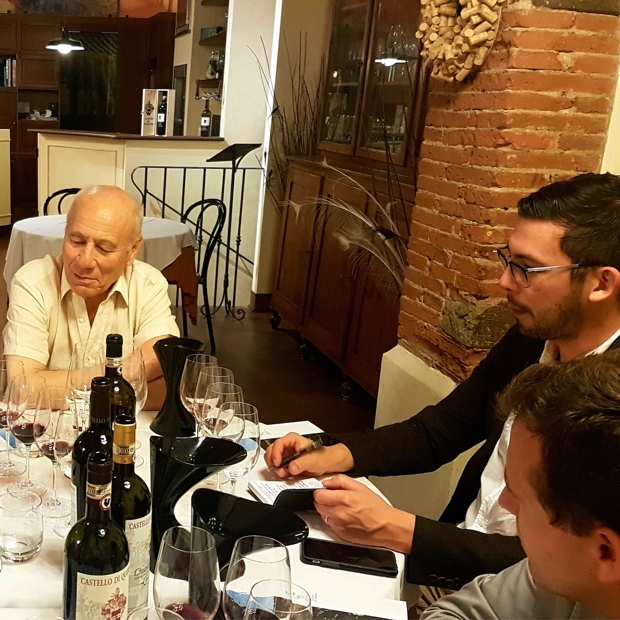 After the mezzadria period came to an end there was a long period of decline and abandonment, until Bandino’s grandson, Enzo Raspi, began the road top modernization, carried on by Monica and family today. 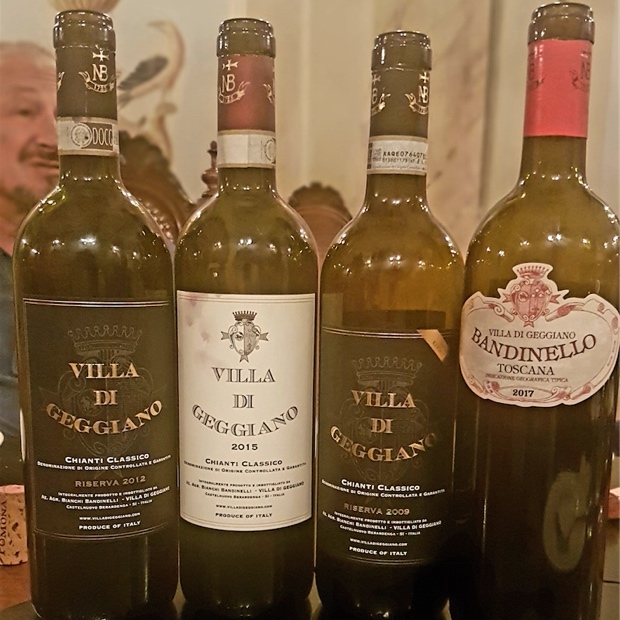 Villa di Geggiano has been the family home and winery of the Bianchi Bandinelli family since 1527. 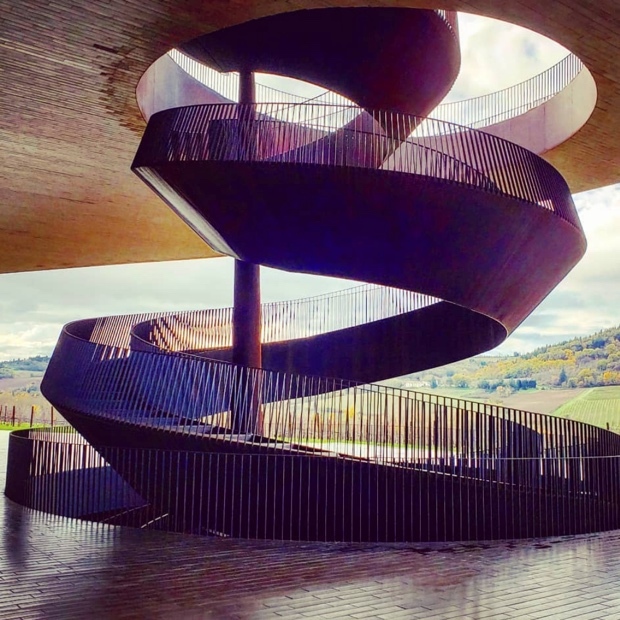 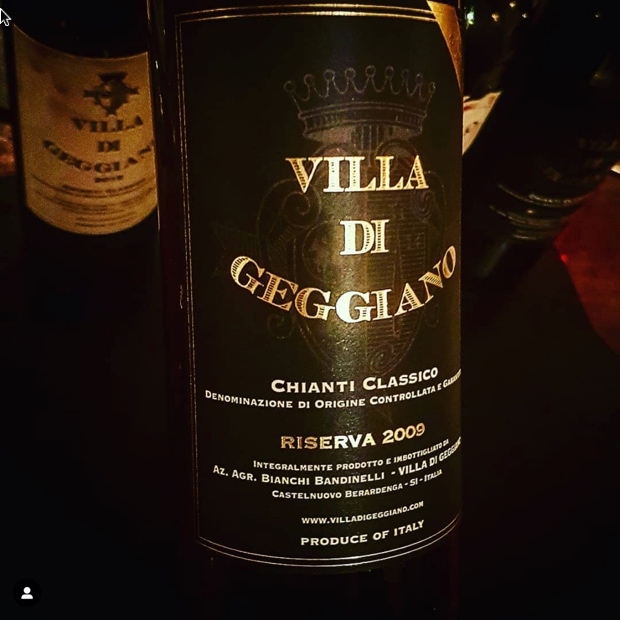 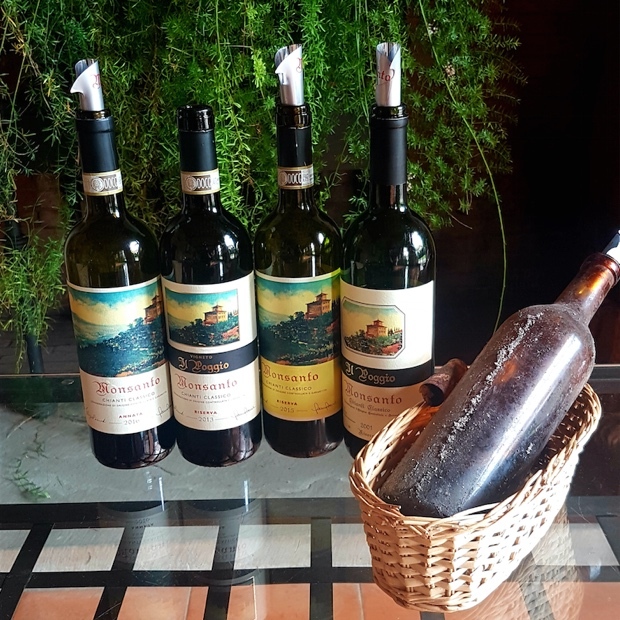 Just six kilometres north-east of Siena, Geggiano’s Castelnuovo Berardenga Chianti Classico vineyards are located just up the hill from Ponte e Bozzone, on a terroir composed of clay, river silt and Galestro. 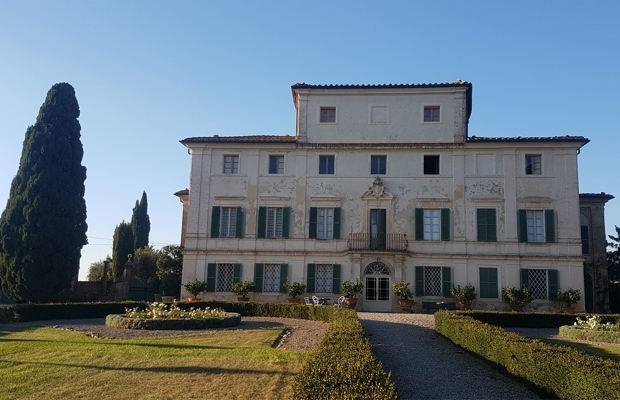 Originally built in the 14th century, the Villa di Geggiano, its gardens and 18th-century decorations have been carefully renovated and restored. 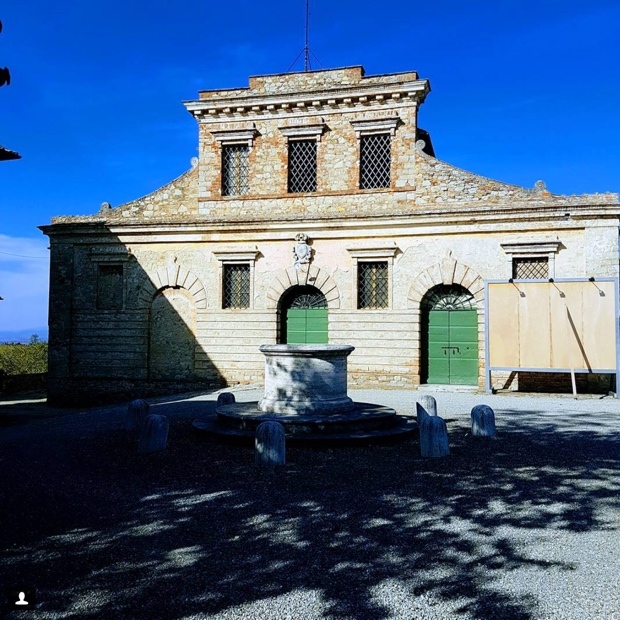 Bernardo Bertolucci filmed Stealing Beauty (1996) at Geggiano in 1995 (I can attest to this – I was there) and in the historical restored wing there is the room that was once home to Pope Alexander III. 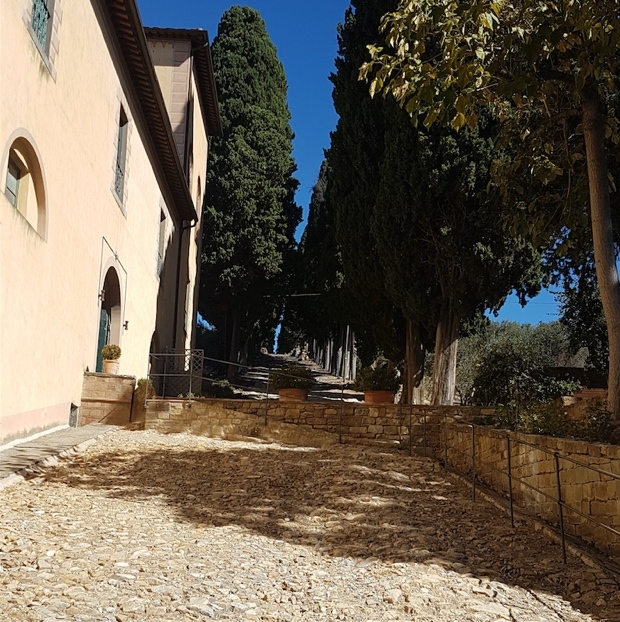 Pope from 1159-81, Rolando Bandinelli’s papacy covered the murder of Thomas Becket (for which he humbled Henry II), and he held the Third Council of the Lateran, an important Catholic Synod. 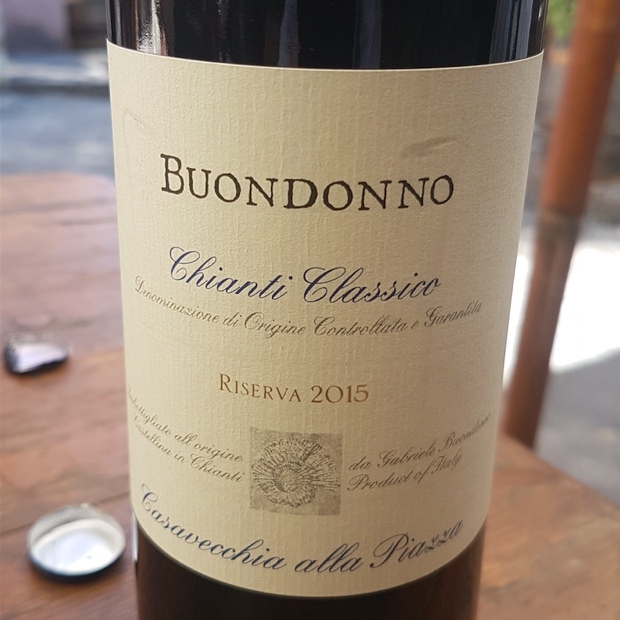 More recently then ancestry includes Ranuccio Bianchi Bandinelli, descended from ancient aristocracy in Siena. 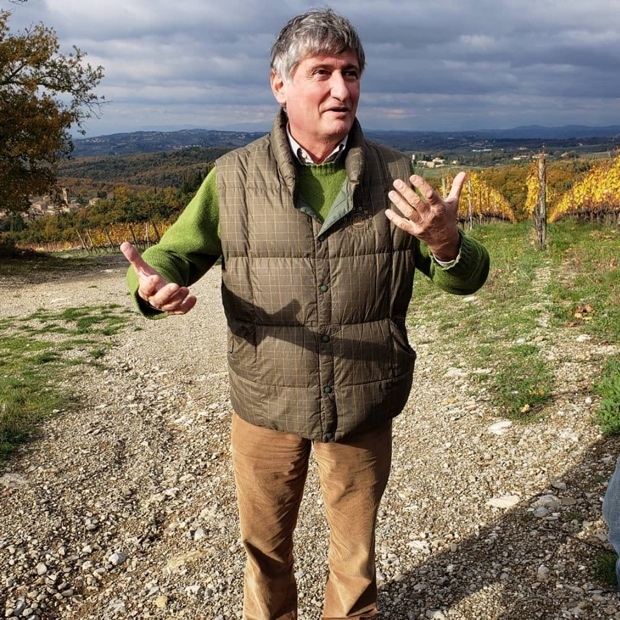 Ranuccio became a world renowned and well respected art historian and archaeologist. 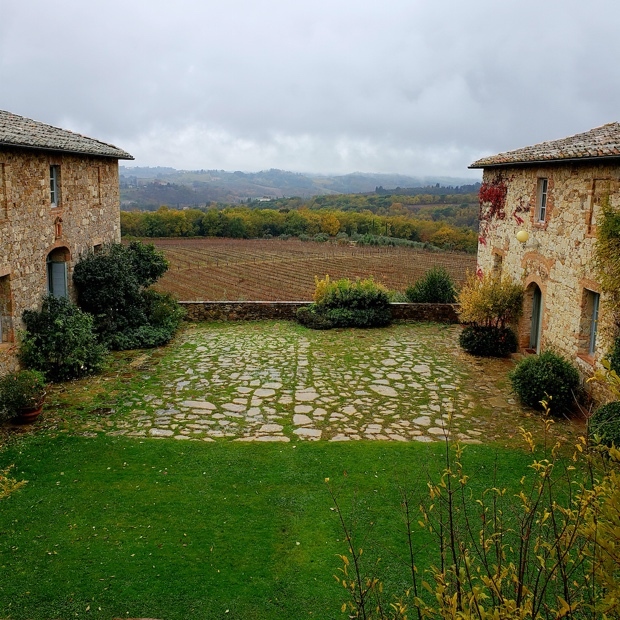 His early research focused on the Etruscan centres close to his family lands, Clusium (1925) and Suana (1929).